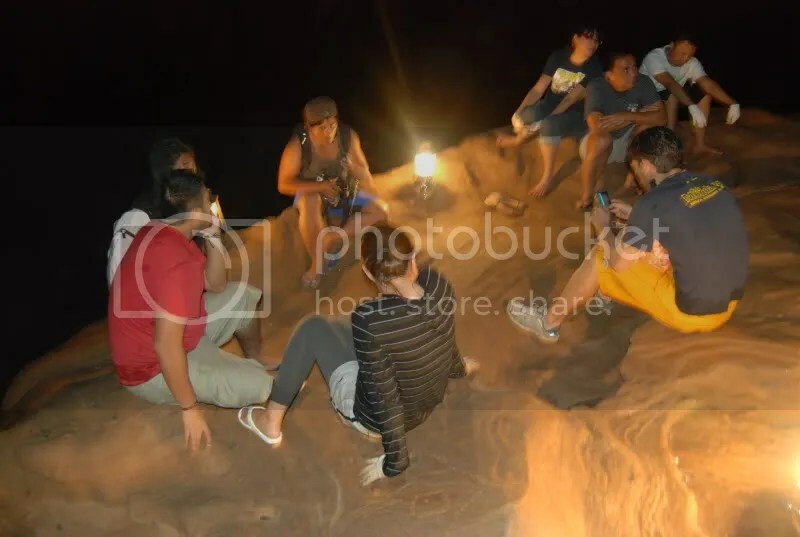 borrowed Carla’s opening remarks on her FB Sagada album…hehe. 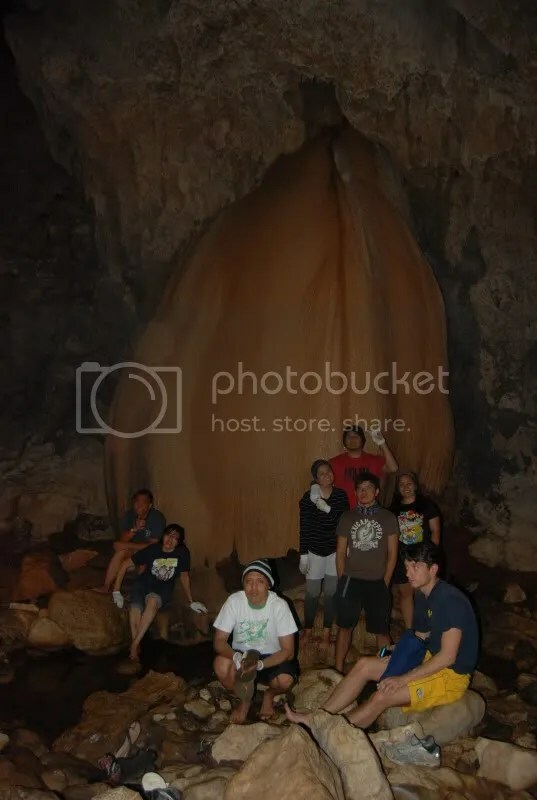 read on for the highlight of this whole Sagada trip. 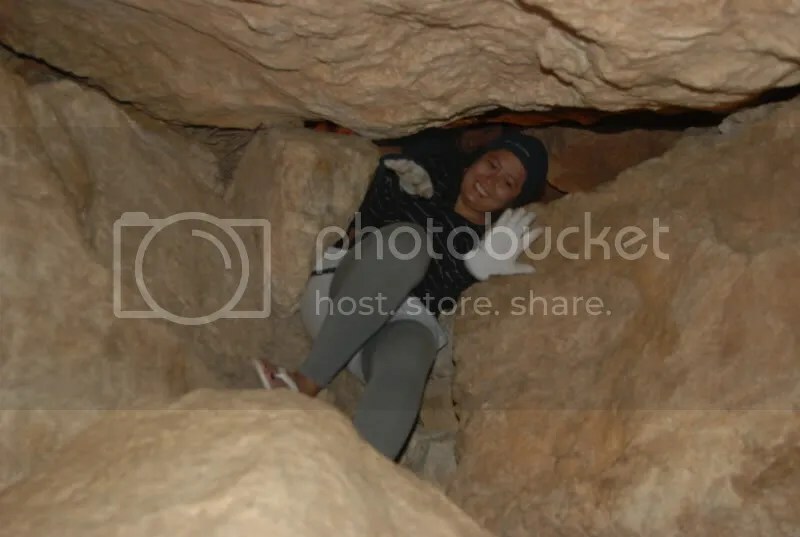 I didnt travel for 12 hours and went top loading on thin ice-cold air with rain drops dripping on my face just to miss out on Sagada’s main attraction – spelunking in Sumaguing Cave! 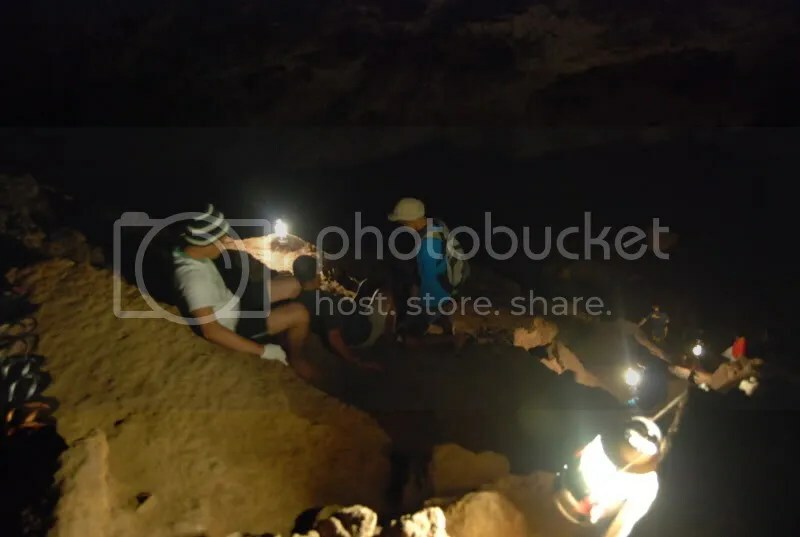 i will not write much about this entry since i felt that photos would give more justice (and excitement) with this experience, so its just a matter of photo overloading for this entry. 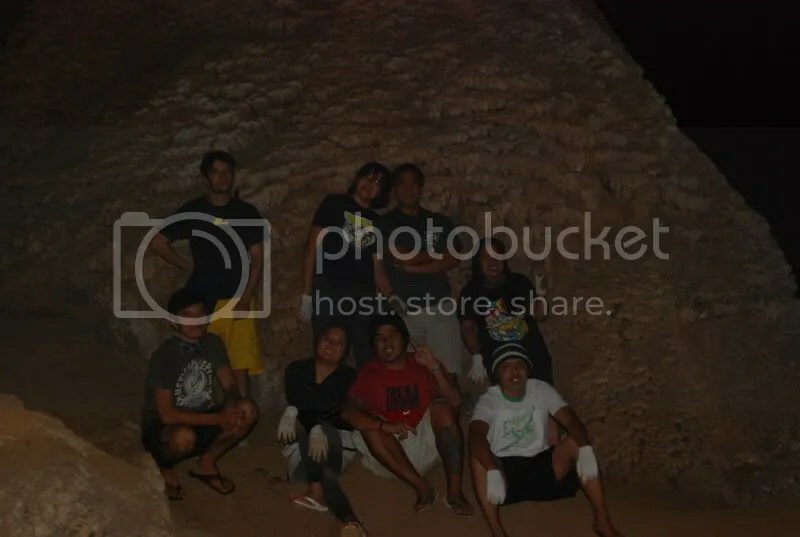 special thanks to my fellow travel buddies James of http://jamesdiayon.blogspot.com/ and Edcel of http://soloflighted.com/ for ALL the photos. 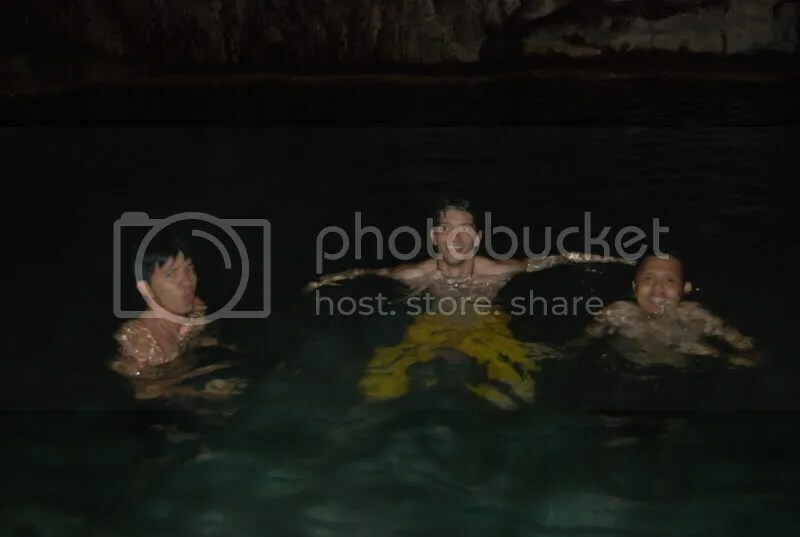 (i got scared when they told me that we will be swimming on chest deep waters inside the cave thats why i decided to leave my cameras in our room and just let my travel mates do the photo taking. 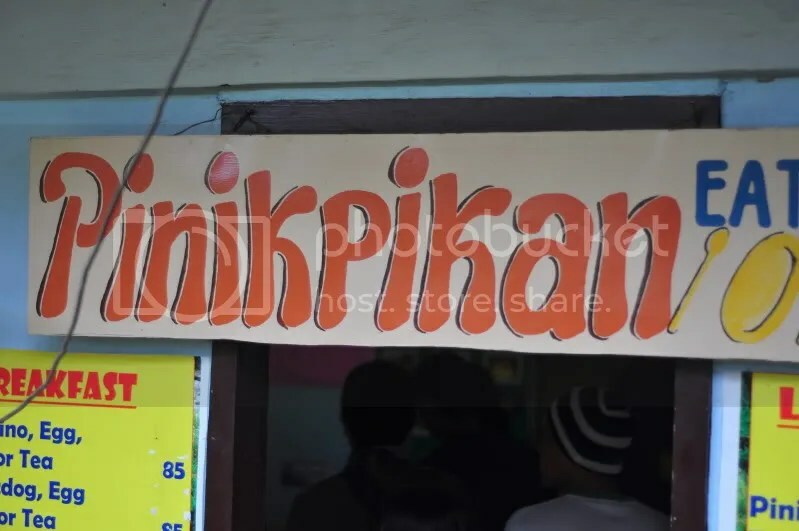 we started off with lunch at one of Sagada’s famous eateries: Pinikpikan Eatery where they serve one of the Ifugao’s local dishes named ‘Pinikpikan’. 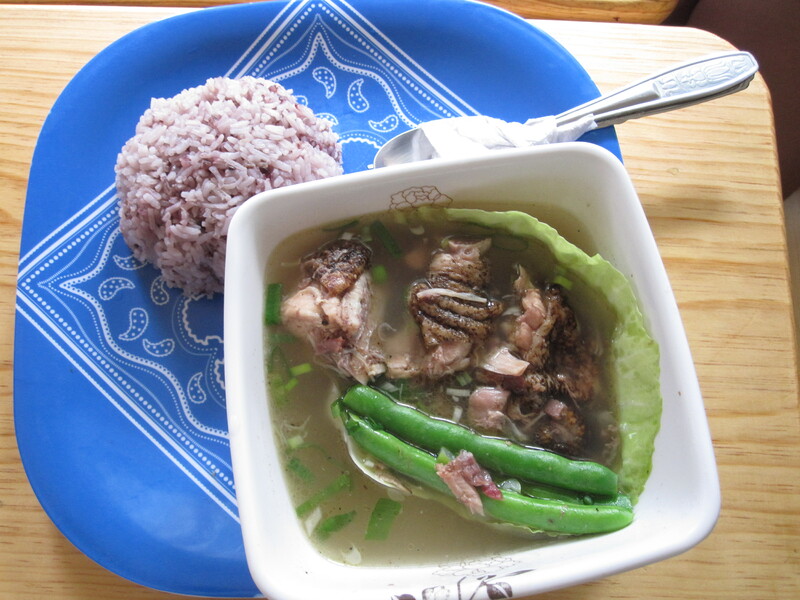 its basically an ‘in – between’ dish of tinola and sinigang. 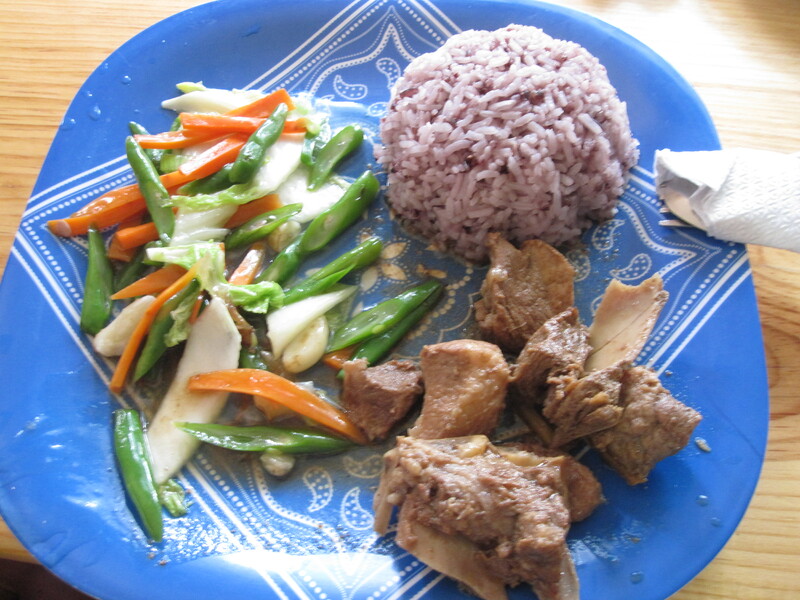 only, its made out of meat and vegetables and served with a local Ifugao rice similar to the red rice we have in the lowlands. it costs around 85P a meal. some of my friends tried it but i opted for the usual chicken-pork adobo meal becasue i felt the need to carbo load because of the physical activity ahead. we also ordered the usual pansit canton (for extra carbo loading). 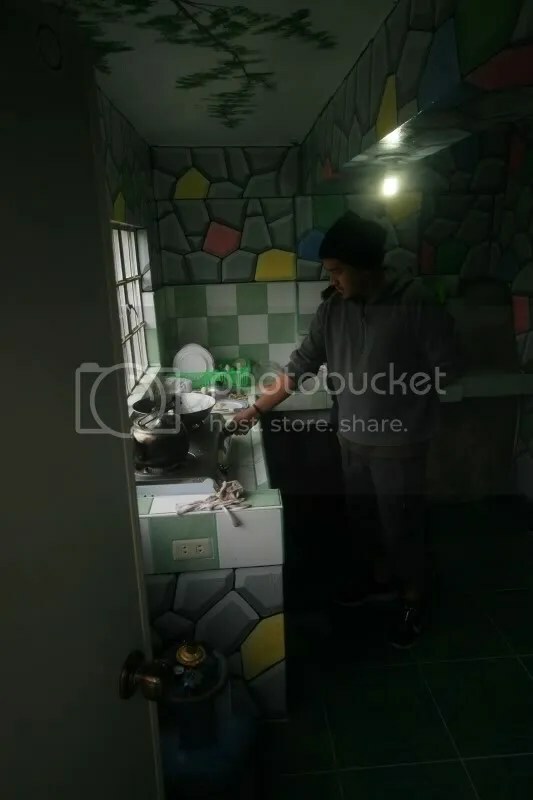 it was also surprising to know that the attendant in the eatery was bisaya. she came all the way from cagayan de oro. 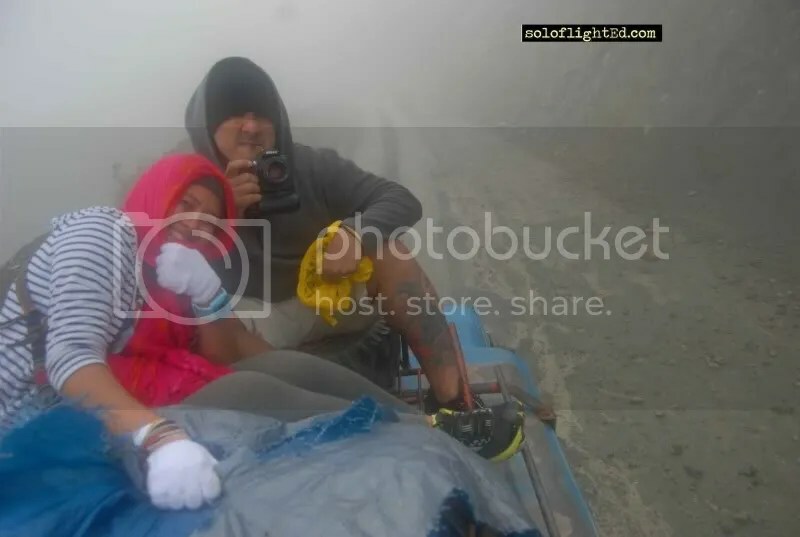 she married a local thats why she opted to stay there in Sagada. 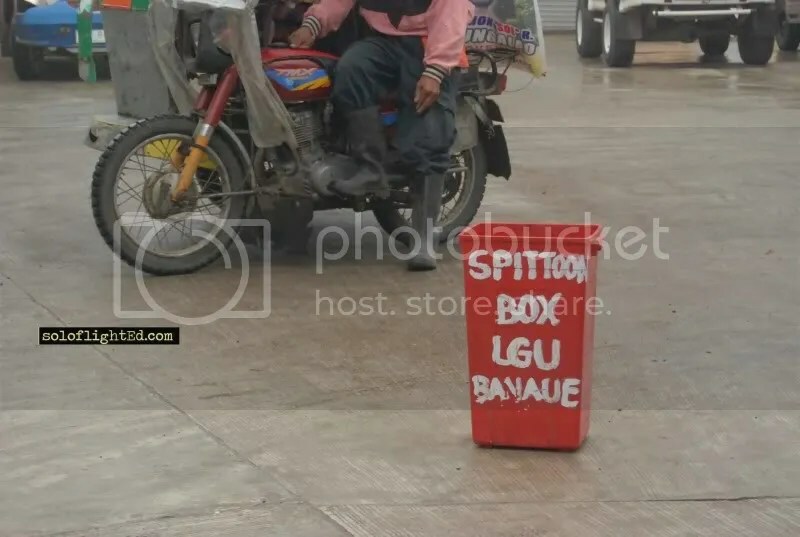 Bisdak gayud! 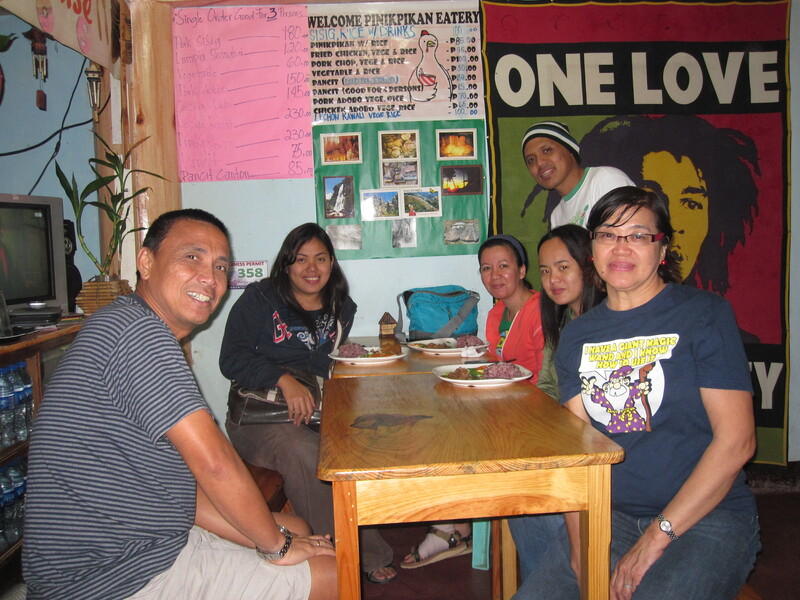 after a sumptuous meal we then met w/ our tour guide Andrew and his team from Genuine Sagada Guides. after a few minutes of chitchatting and a 5min. walk we finally arrived at the Bungad of Sumaging Caves and the rest as they say…is history. 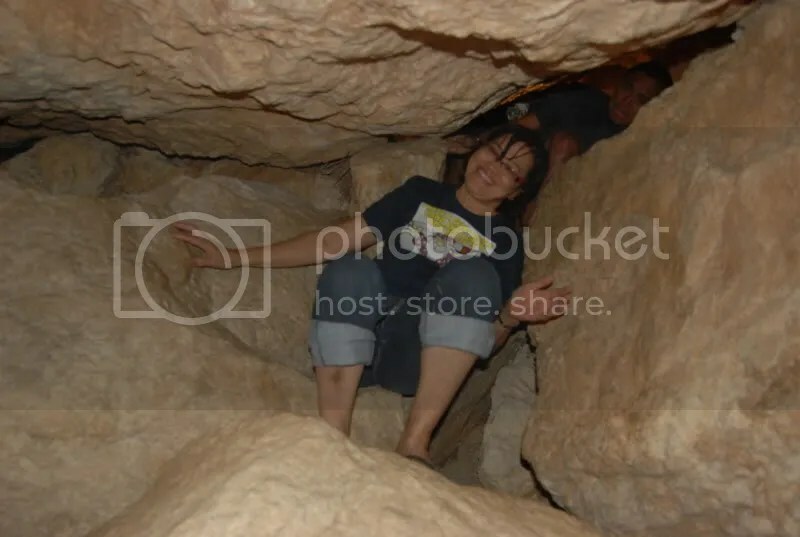 and it is 300-350 meters below the ground. 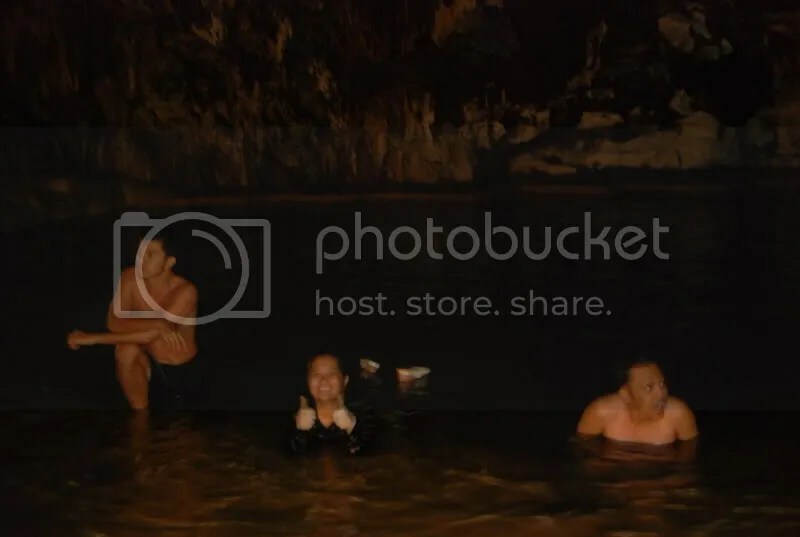 the water inside the cave is about 5 degrees cold. and taking a deep inside the lagoon is a must try. 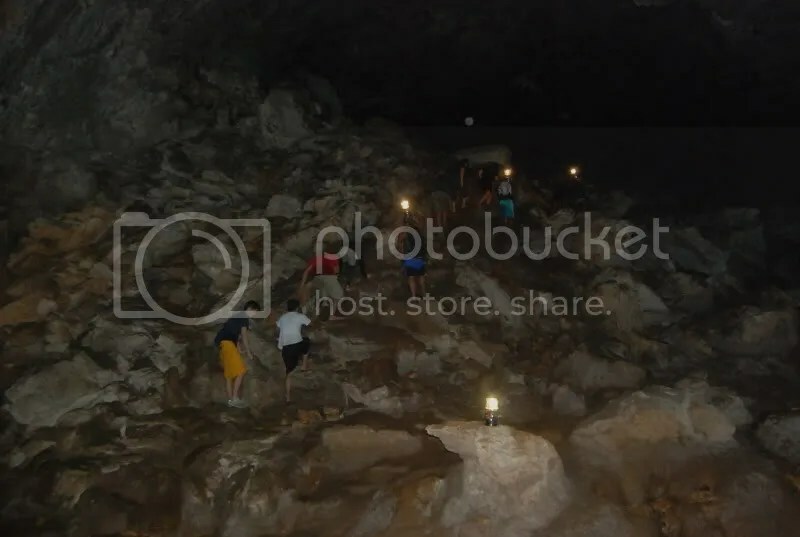 when the guides start to lit their lamps, my heart started to jump in both excitement and a little fear. briefing followed and the real ‘Saga’ began. 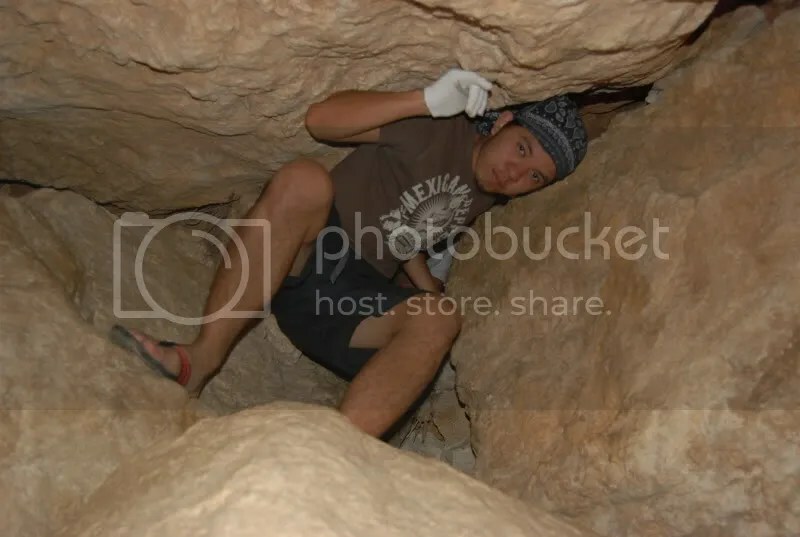 just before entering the cave. picture muna! if you may refer to the upper right side of the photo – thats where we came from, just a few seconds after we started our descent. 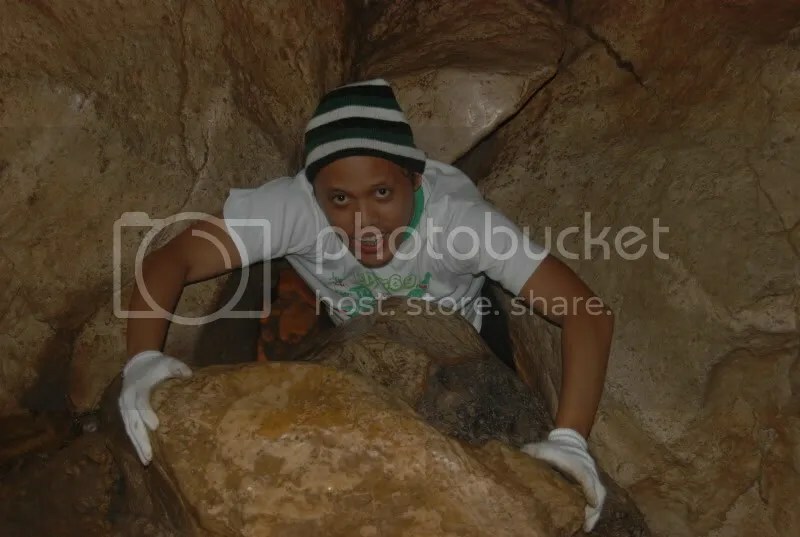 tita Myrna – darn, i was really proud of her she gladly completed the 4 hr spelunking experience. Carla! – the first in the link…hehe. first rappelling of the day. 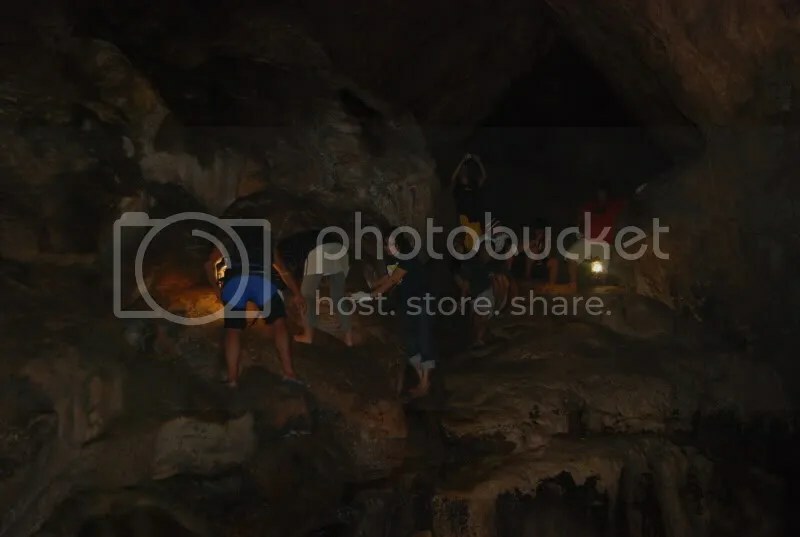 a glimpse of the cave. 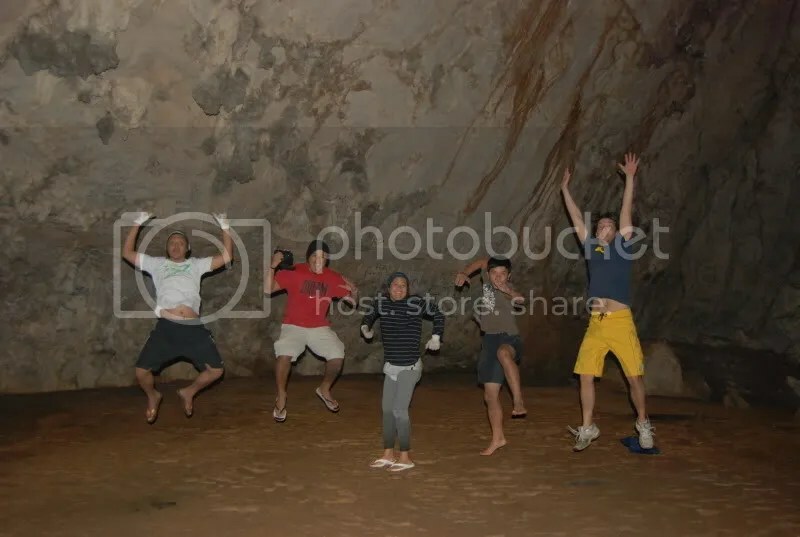 jumpshot at the ‘cathedral’ the caves biggest opening. 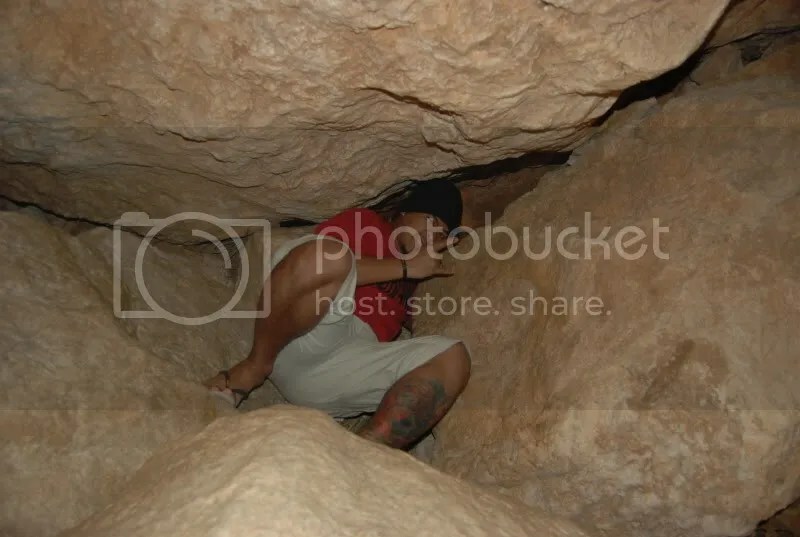 right in this place, is where the air from both caves meet so one can get this feeling of ‘mahangin’ right inside a cave. weird. 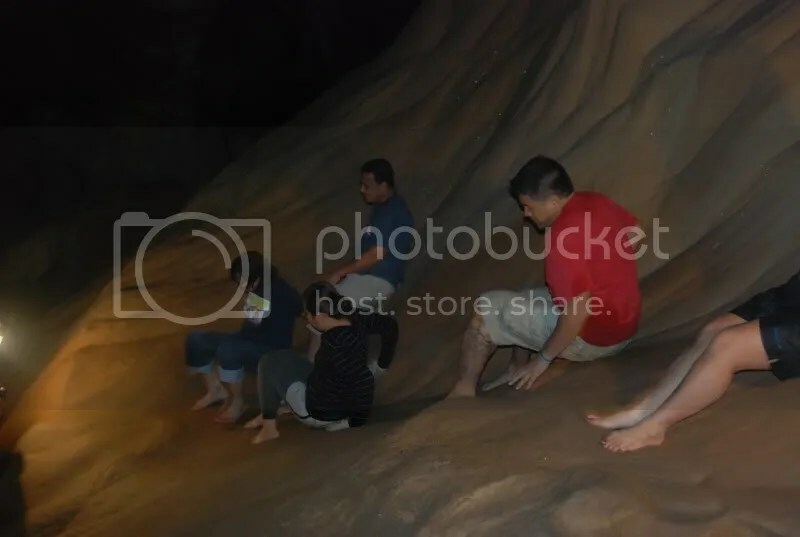 sit and slide – we had to go down a 55 degree steep wall. and we finally reached the lagoon and the 5-degree cold water. i couldnt resist but to jump despite the freezing cold. it was all worth it though. Finally (and i mean ‘finally’, in its truest, purest,real sense) after hours upon hours of travelling, we have set foot in Sagada! 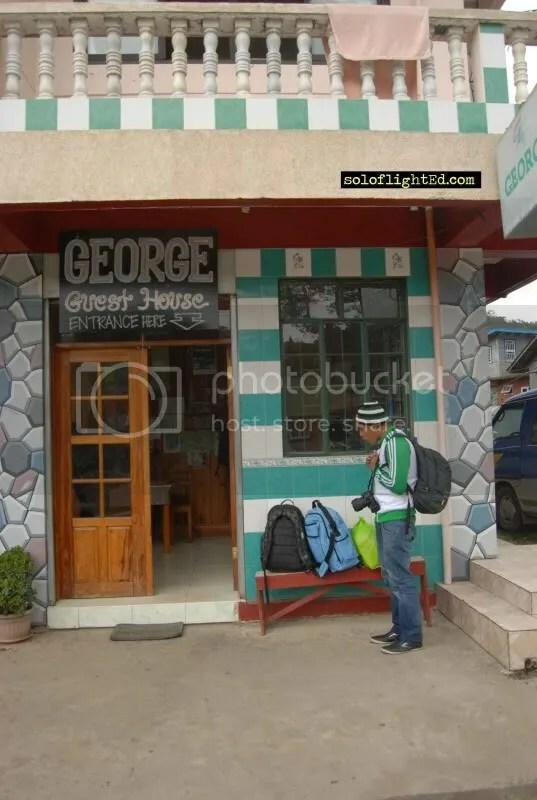 we wasted no time looking for our accomodation – George Guest House. i cant quite remember exactly but most probably Doi arranged for a van transfer from the terminal to the guest house because we rode a van courtesy of George Guest House for free. 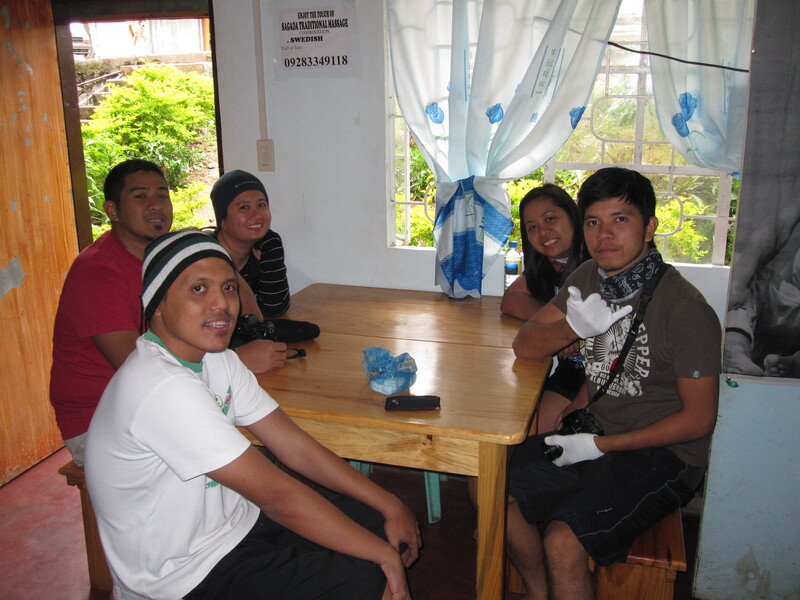 we were billeted at the annex building of the guest house which was about a 5-min walk from their main building. toffee playing w/ the smoke from his mouth. 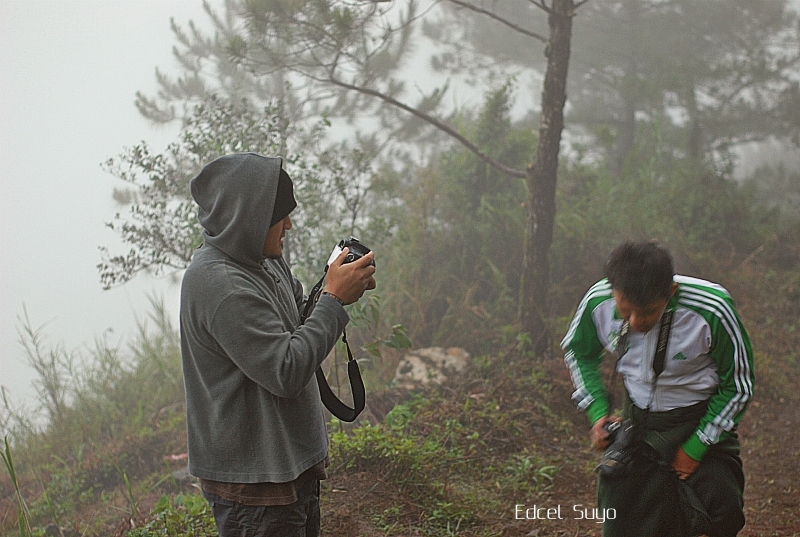 caught on cam by Edcel. i was impressed with our accomodation. for one, our BIG ROOM has wi-fi! 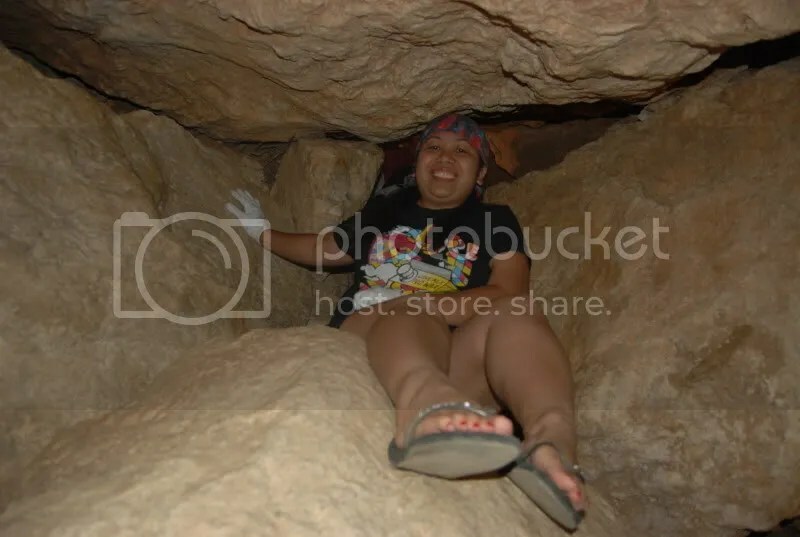 i didnt thought real time updating in twitter and facebook was still possible in Sagada (lol). 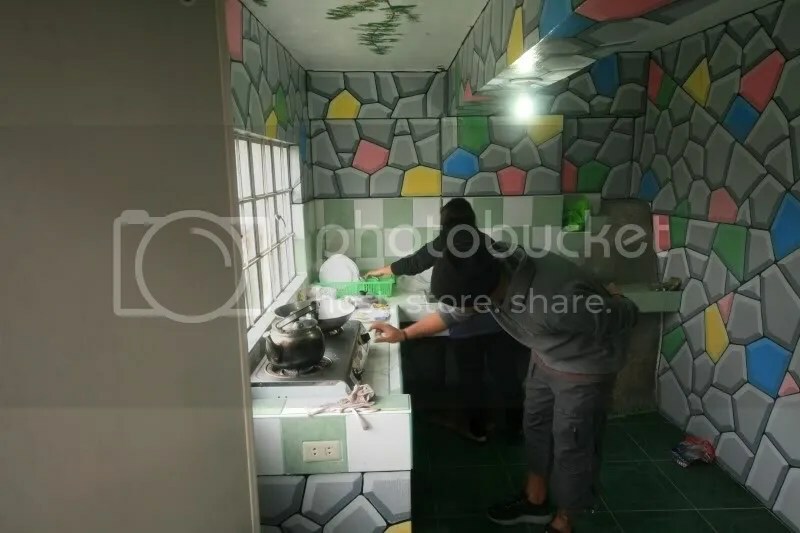 we paid 1750P per day for a room that was good for 10. we were 7 in a room (including a couple we befriended during the trip, Tita Myrna and his husband who happens to be from Bulacan also, kaya tsismisan na…kapit village ko lang pala sila hehe), thats 250P each for a day. i spent 500P for a 2-night accommodation. dirt cheap i thought. our BIG room had 5 queen sized beds in it. so that meant that the singles (thats me, doi and edcel) had one queen size bed each all for ourselves. our BIG room has 2 sets of comfort rooms, so taking a bath didnt took that much time. 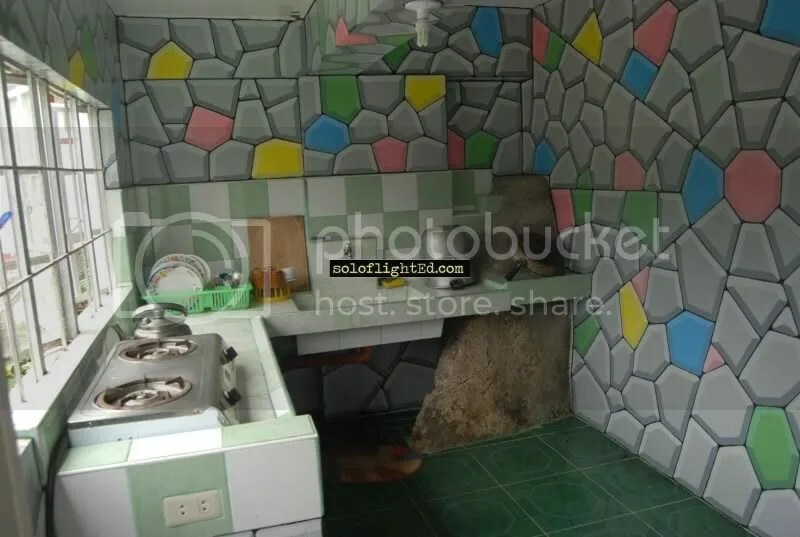 it has heaters in it so no worries with the very cold Sagada waters. our BIG room has no air conditioning. 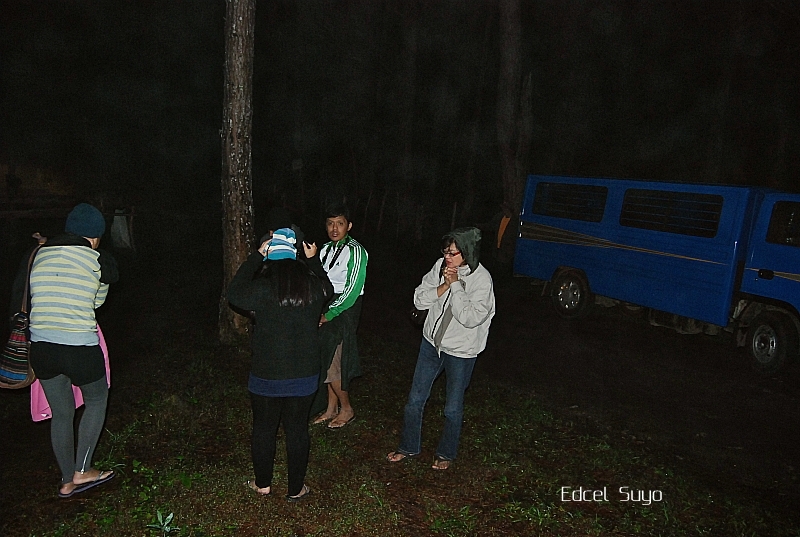 the cold Sagada weather especially at night was more than enough. 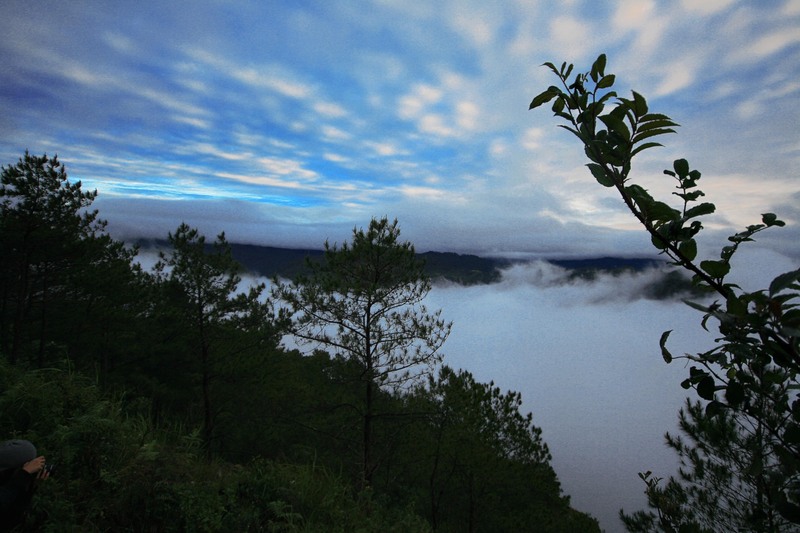 our BIG room has a nice open air view of Sagada town, perfect for some early morning meditation. 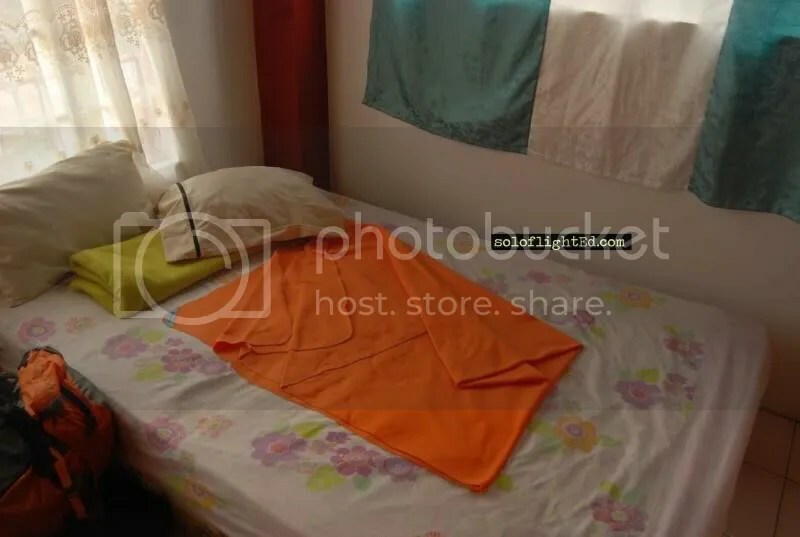 if i am to rate George Guest House in the context of a ‘Sagada accommodation’, id give it a 9 out of 10. the 1 point less was for the lack of a TV set. 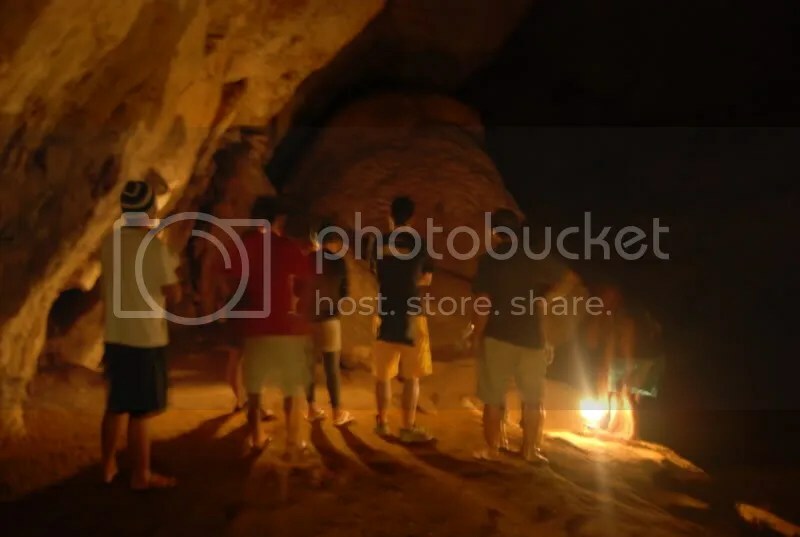 also, the annex building is the nearest accommodation to the Sumaguing caves. finally we have reached Banaue. 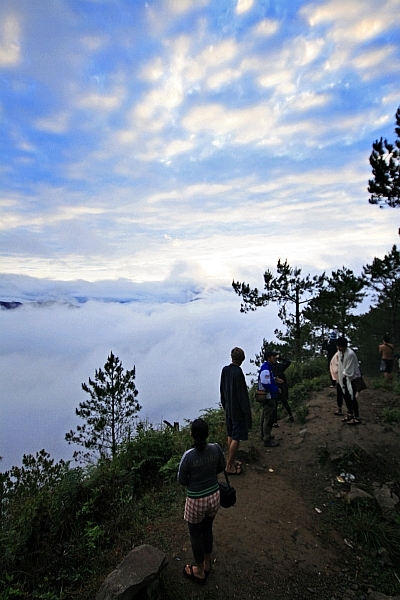 the starting point of the more adventurous part of this trip to Sagada. its somewhat the ‘where almost there, almost.’ vibe already. 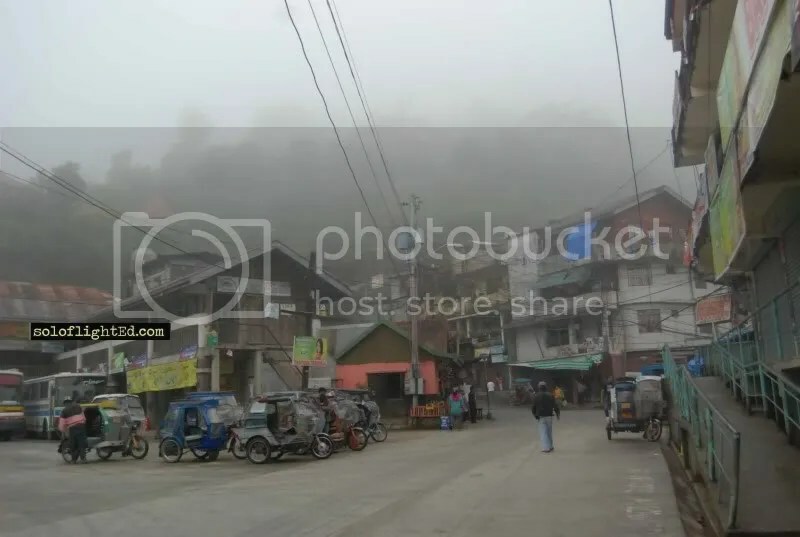 when we arrived we immediately looked for the town center to find the jeepneys that are bound for Bontoc. 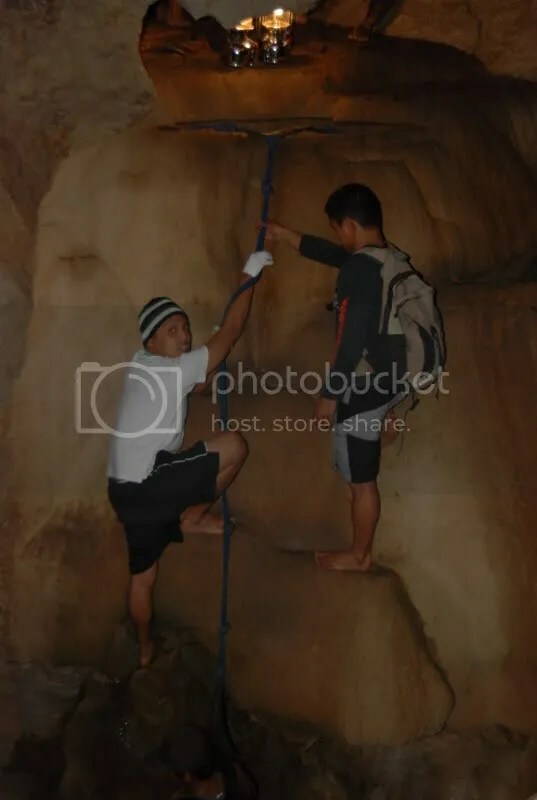 one major advice i can give to those going to Sagada is do not believe those scalpers who try to lure you with their very good communication skills. 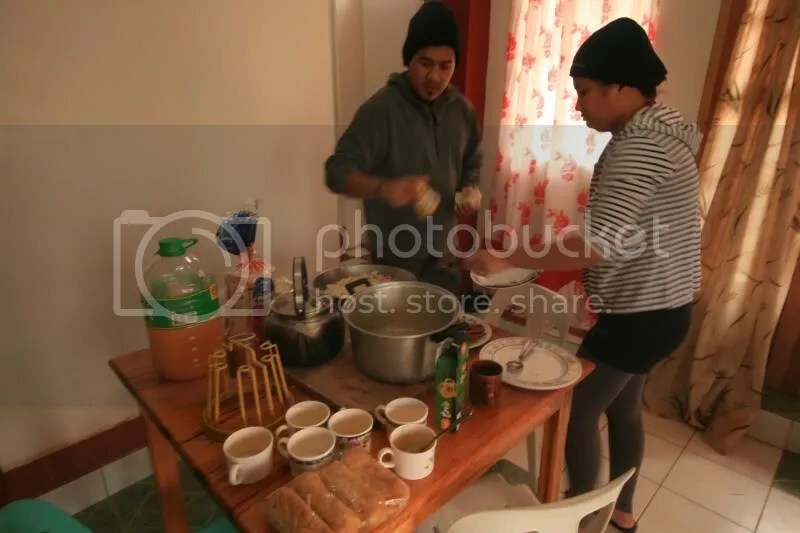 like us, they tried to convince us to have breakfast in a cafe and wait for their ‘chartered’ jeepney that would take us directly to Sagada for 300P. good thing my travel mate Doi already researched about a jeepney route that cost much less than the 300P amount. 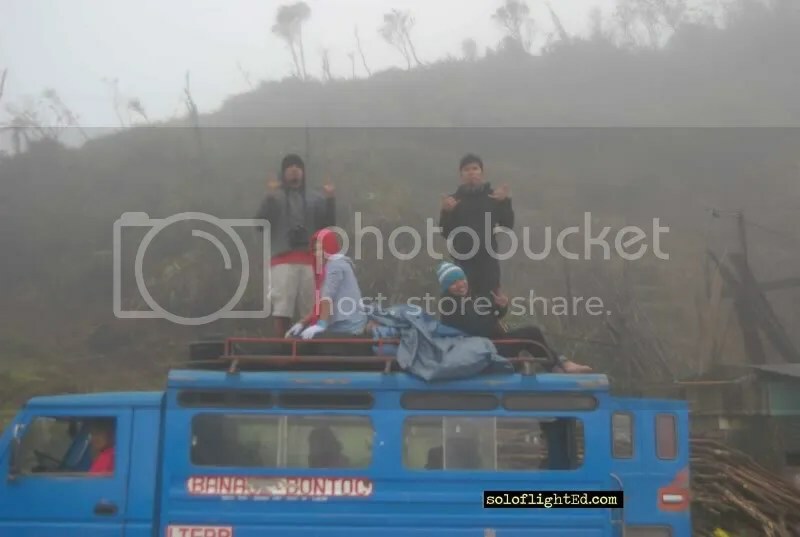 its the Banaue – Bontoc which costs 150P and another jeep from Bontoc to Sagada which costs 45P. thats a savings of 105P. the first trip for the jeepney bound for Bontoc was still at 8:30 am so while waiting we had our breakfast which consisted of Gardenia sandwich and cheezweez regular cheese flavor that we bought in Manila. 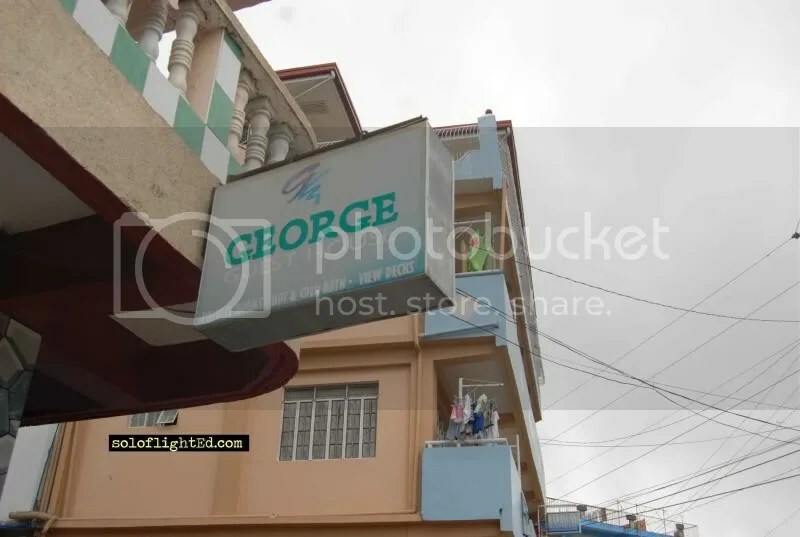 one huge factor for the big savings in this trip was that we bought groceries for our food in Manila. now here’s the catch. after we left the town center with our jeepney, we happen to stop at the tourists who opted to pay the 300P direct to Sagada trip. then they all went on to ride at the same jeepney as ours. so that means that the 300P jeepney was the exact jeepney that we rode for only 150P! 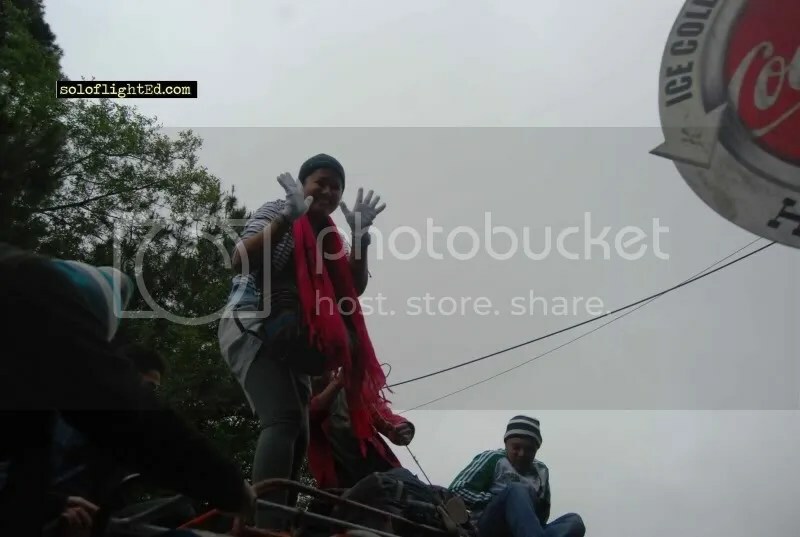 since the jeepney would now be filled with other tourists, Doi and Edcel suddenly thought of a really brilliant idea. they wanted to experience top loading! when James and Carla heard about the plan, they excitedly affirm to it. well me? 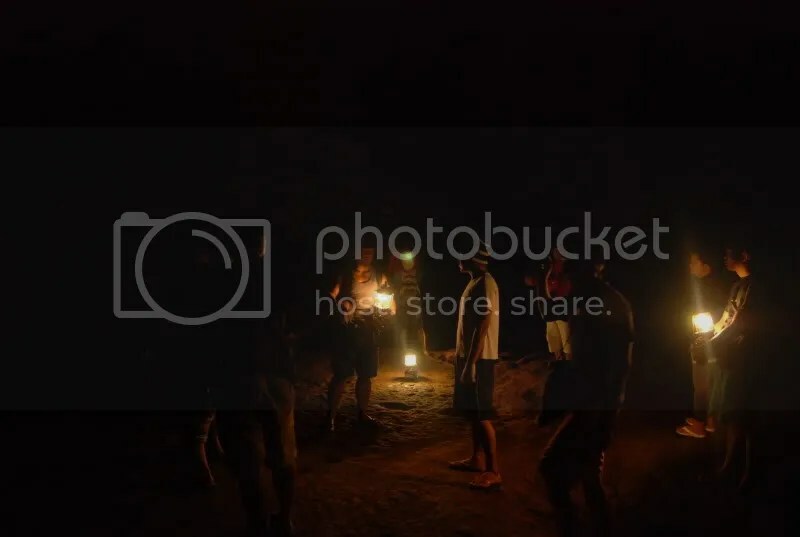 all i was able to utter was…please refer to this blog’s title… a few seconds after i was already on the roof of the jeepney with the rest of my travel buddies, a local and his 2 chickens. 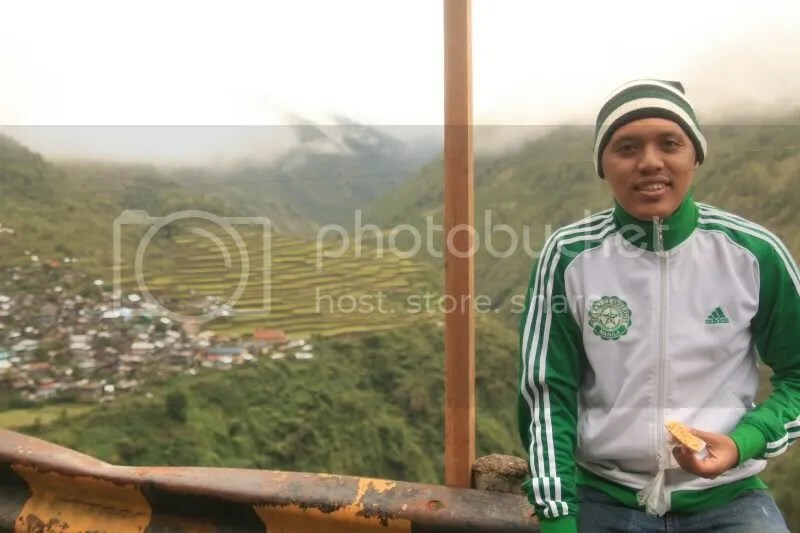 and yes, i had my very first taste of that toploading experience, and i had it in the freezing weather of Banaue. 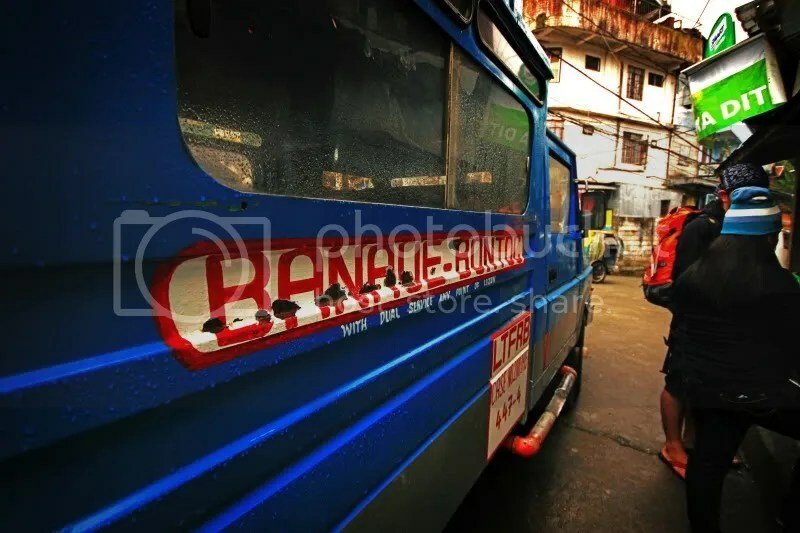 the jeepney ride from Banaue to Bontoc would be around 2 hours. but on the 45th min. i had to go down the jeep and give up my top loading experience because i was already freezing! the whole time it was raining and since i was seated right smack at the front of the jeep, all the rain water would swamp my face and my whole body. i was soaking wet already. i cant bear the cold anymore so i had to transfer inside the jeepney. there were a few stop overs in between. i was not able to count how many because i fell asleep the moment i sat down inside the jeepney. 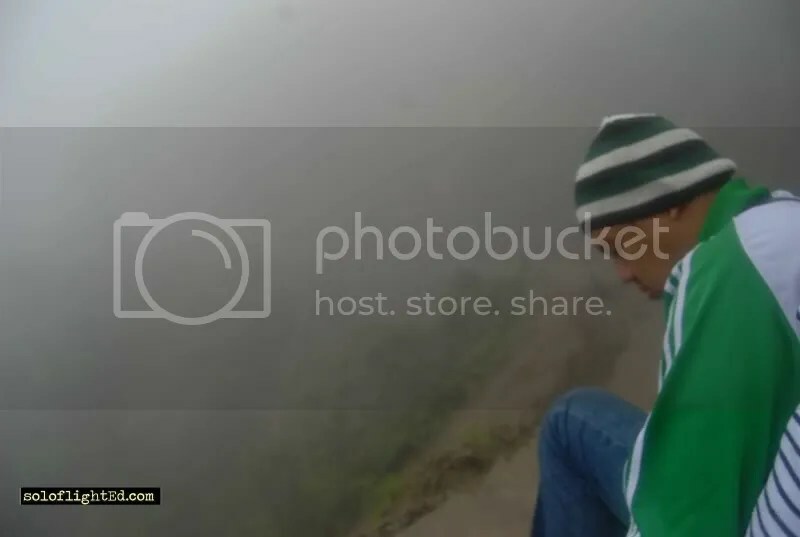 i was dead tired, very cold and very wet. i could remember though that i caught one of the Korean tourist laughing at me while i was half asleep. 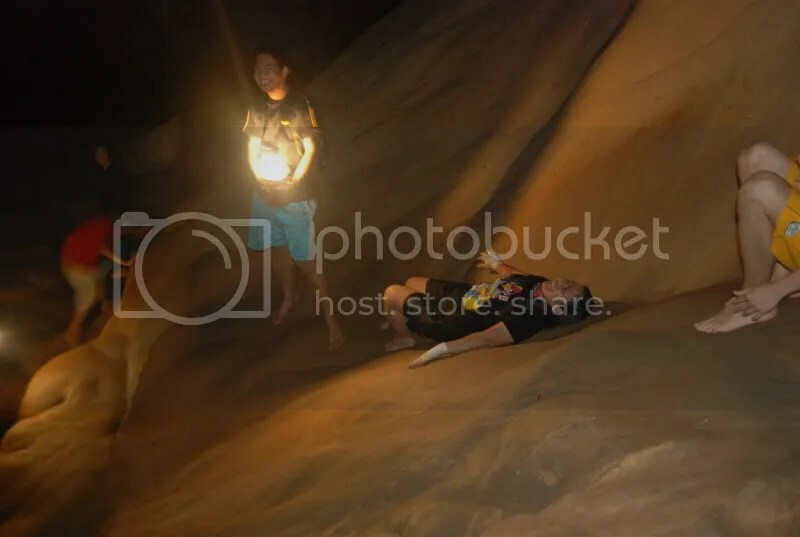 i was too tired and too wreckless to even care. why could he be laughing at me, maybe i was salivating like a dog then. 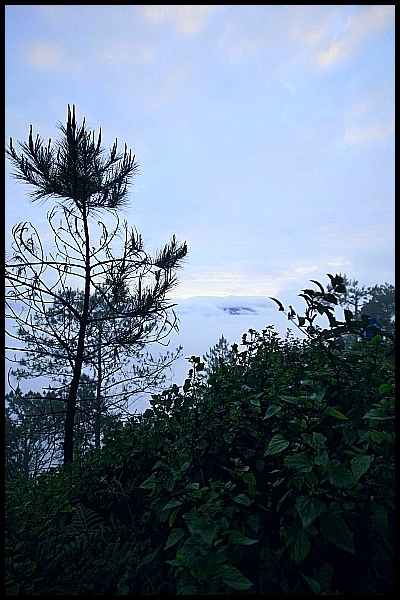 when i woke up we were a few minutes away from Bontoc, we stopped over this viewing deck of a small rice terraces. finally, my first glimpse of a real rice terraces (the ones in Banaue were nowhere to be seen because of the rain and the heavy fog). 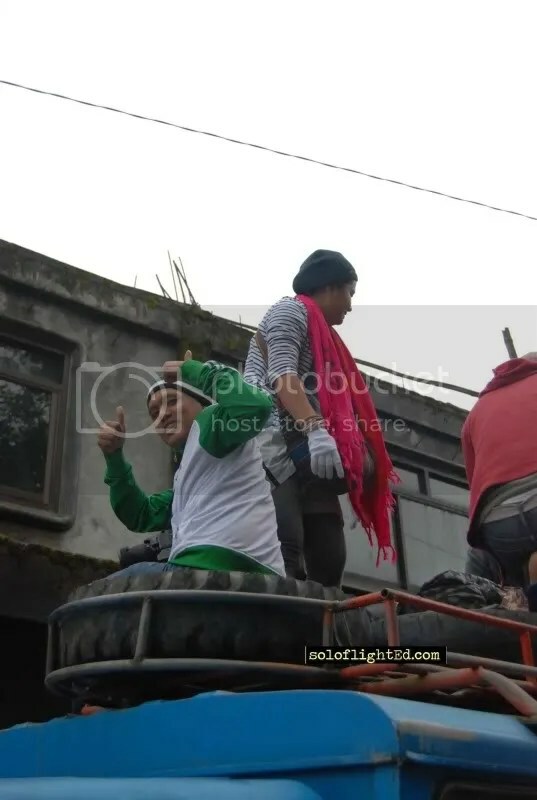 finally we arrived in Bontoc a small town center situated right at the middle of the mountains. its another wierd experience entering this town. 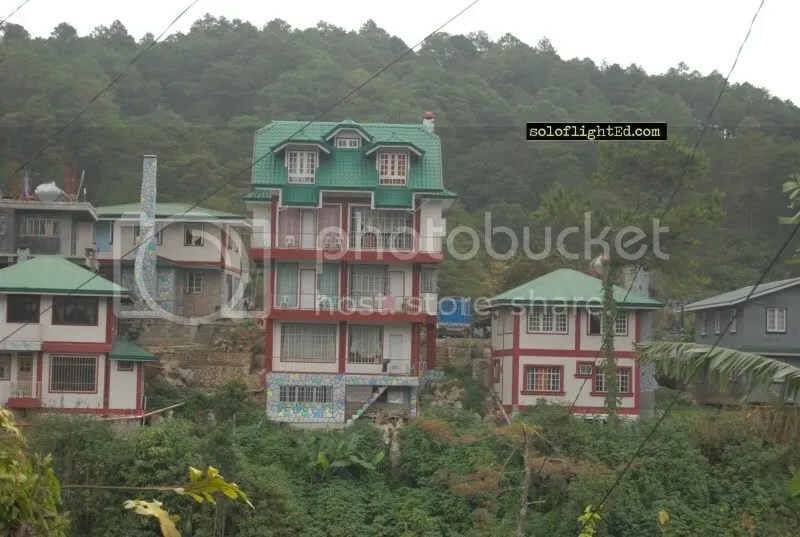 its like as we traverse these endless mountains and zigzag roads, then suddenly right at the middle of nowhere would appear a thriving town just like the ones found in the lowlands. the jeep brought us to another terminal where the jeep bound for Sagada (finally) was waiting for us. 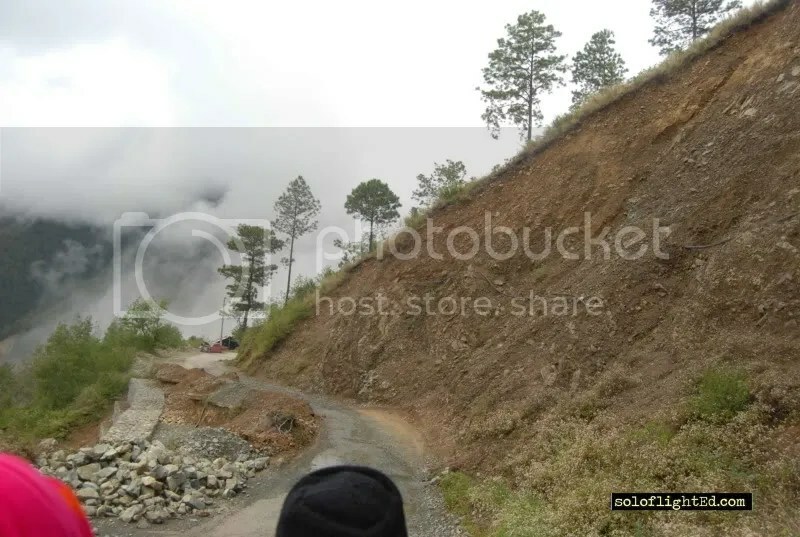 its another 1 hour ride for 45P before finally reaching Sagada town proper. 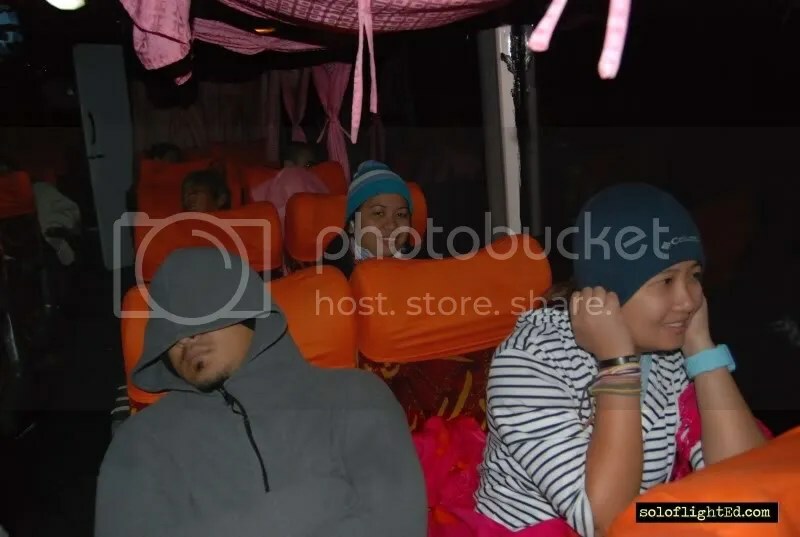 i do not have any recollection of this part of the trip anymore because i was already asleep even before the jeepney left Bontoc. 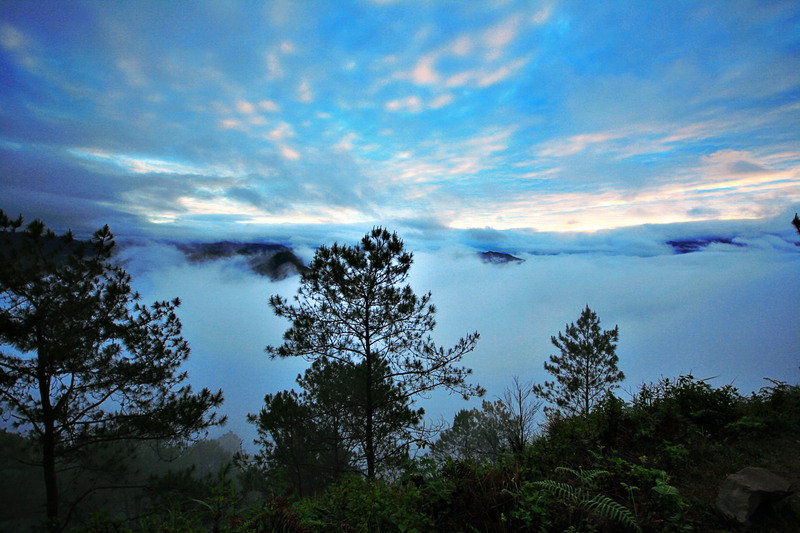 when i woke up we were already in Sagada. tof? tof? ok ka lang? toffee??? did you just say its a rough road ahead? the title – misleading but not quite. read on to find out why. this was my FB status message the monday after my ‘all of a sudden’ Sagada trip over the weekend. i was still at cloud 9 (literally and figuratively) as i tried to recall every single moment i had with the trip. 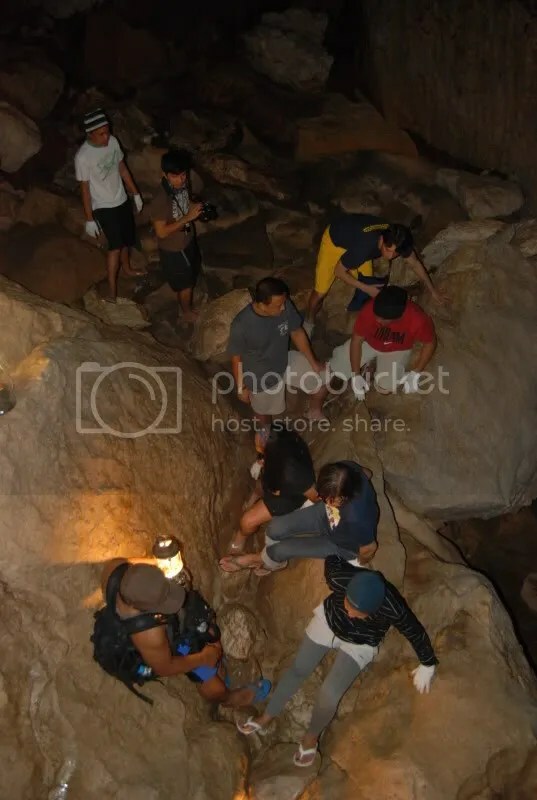 well how did i end up going to Sagada ‘all of a sudden’? it started with another planned trip. 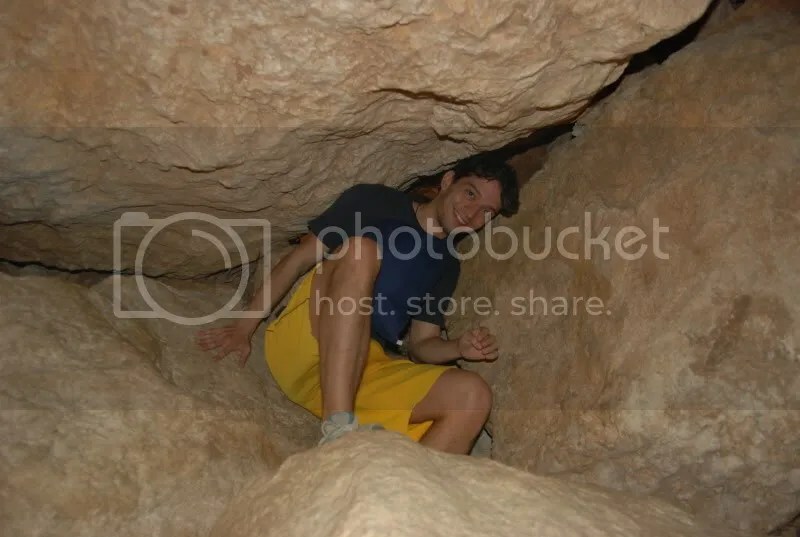 i had to do some research regarding that trip so i had to read some travel blogs. 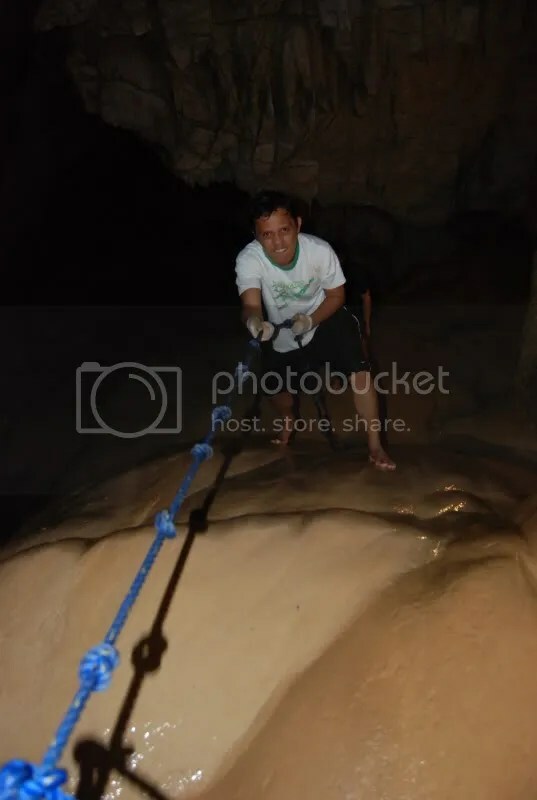 then i came across this blog http://soloflighted.com/ by Edcel Suyo who happens to be a Cebuano w/c made it a lot more easier and more comfy for me to correspond. it took me a few emails to him (luckily he was kind enough to reply to my queries) and found out he was also going to Sagada. 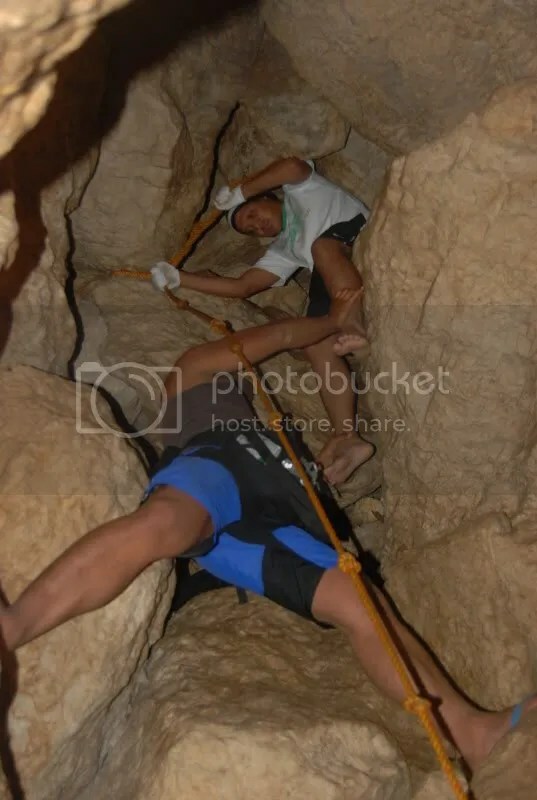 because of his being cebuano, it was too easy for me to throw in my trust to him and i readily (and politely lol) asked if its ok if i tag along with the trip. he said yes and my Sagada trip was ‘somewhat’ confirmed. basically there was no reason for me not to pursue with the trip. it was my rest day, i don’t have pending jobs to do, i have a few more money left and i just can go if i want to. but the thing was i kinda had second thoughts of going. for one, its my first time to travel w/ total strangers (anxiety attacks anyone?). for two, the week before the trip i was just in Cebu. 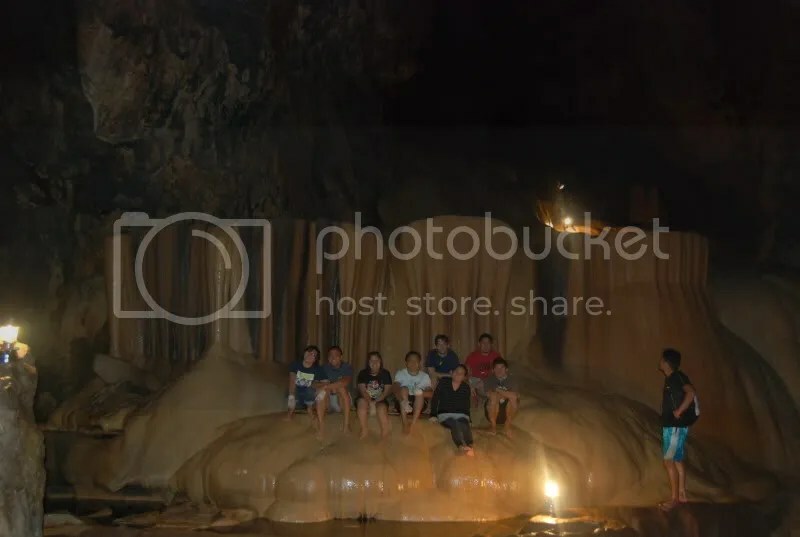 for three, the monday before that weekend, i was suddenly deployed to Tarlac to attend to some business conference that would end a few hours before the bus we would take leaves for Sagada. 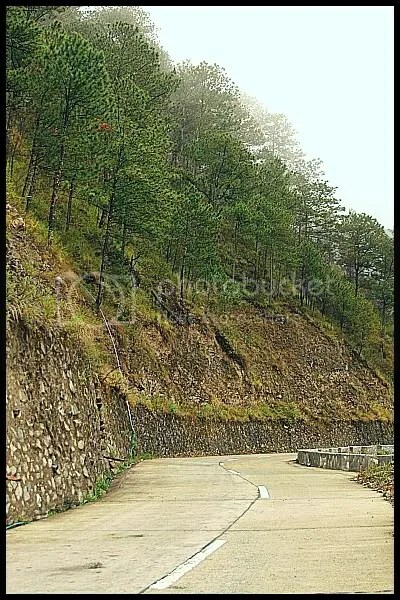 most of all, i just thought, its Sagada for goodness sake. nobody goes there just like that?! 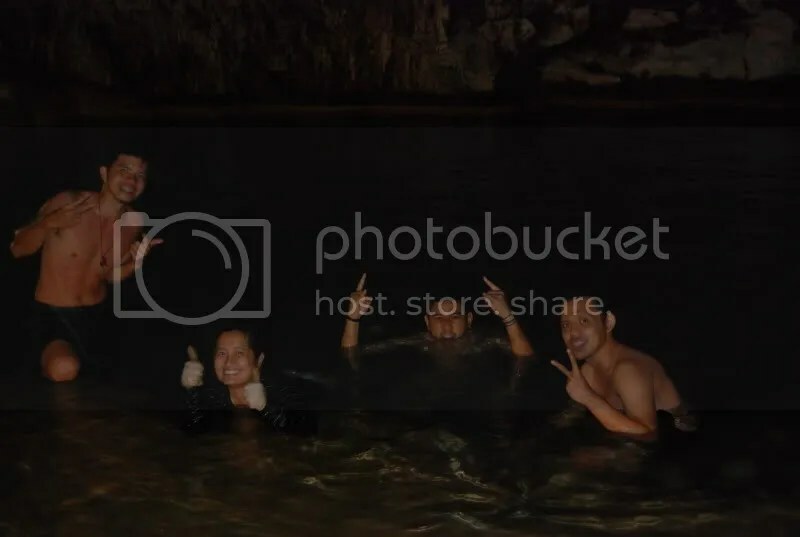 good thing though Edcel had to keep on reminding me that they have already budgeted everything for the trip and they have divided it amongst ourselves – me included. so i have no choice but to go. hehe. thursday afternoon arrived swiftly. i had to rush my team to go home as early as possible so that i can still catch up w/ my fellow travel mates in Manila. we agreed to meet in MOA. 4 hours total inside 2 buses and 30mins MRT ride i arrived in MOA. 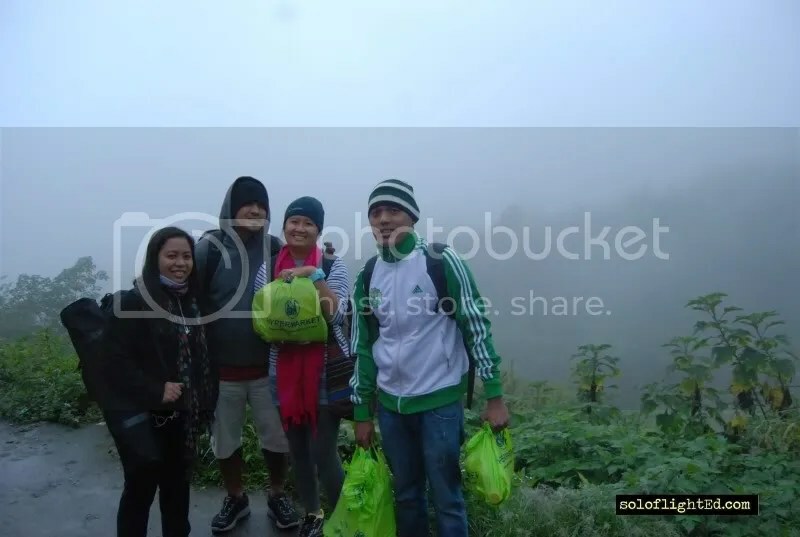 for the first time i met my would be Sagada travel mates Edcel, Doi, Carla and James (will blog about them separately). after a very short his and hellos we immediately hopped on a jeep and traversed our way to Sampaloc Manila where our Bus Terminal was located. 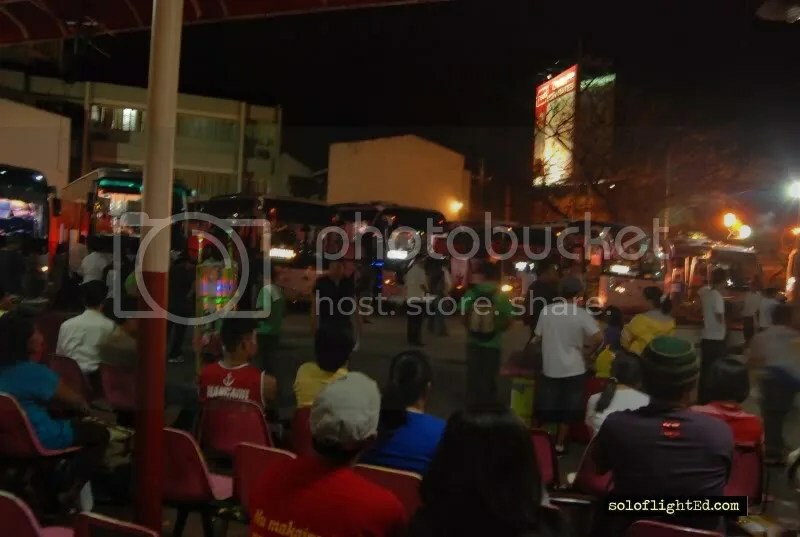 3 jeepney rides after: from MOA to LRT rotunda (7.50P) , LRT ROtunda to Quiapo Church (13P) and Quiapo Church to Bust Terminal (7.50P) we arrived at the Florida Bus Terminal in Sampaloc. (i do not claim familiartiy of the place since i have been there less than 5 times only but i think UST is not in front of the terminal but beside it. but better yet, to be safe ask around to be sure. 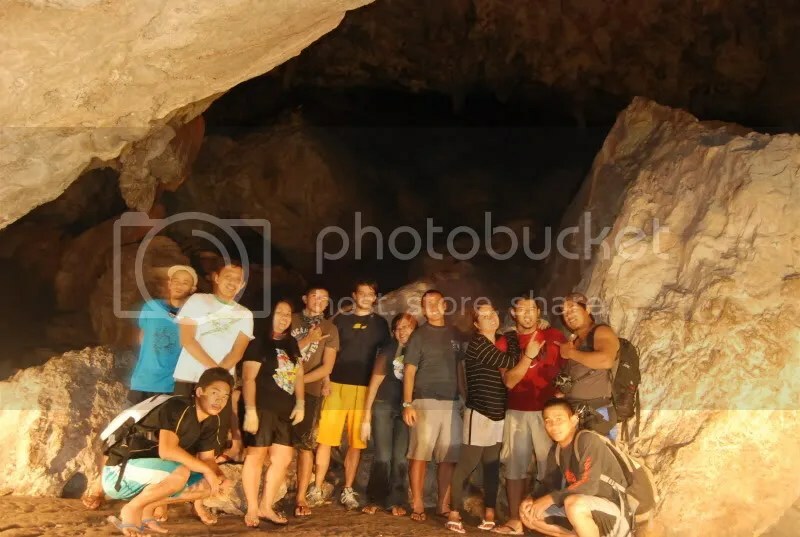 we would be taking the Manila-Banaue-Bontoc-Sagada route as planned by my travel mates. when i heard of the plan i knew i was doomed. i dreaded my Ilocos trip via 10 hour bus ride. 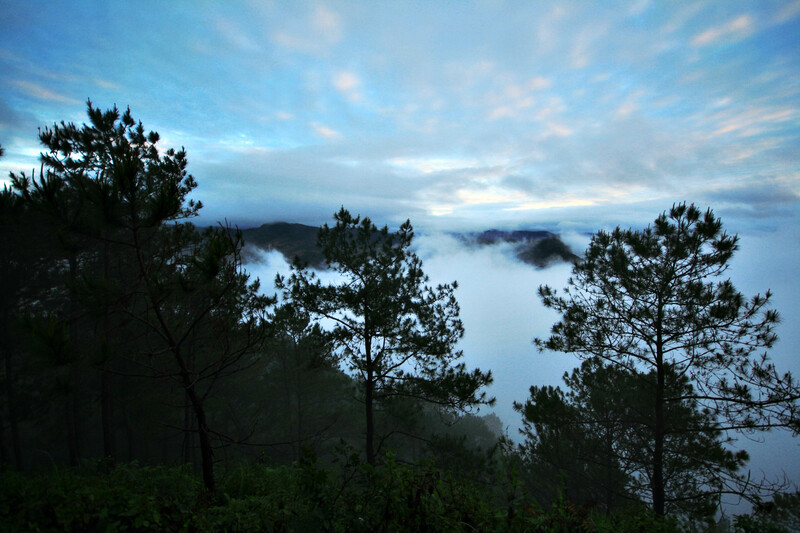 and i knew this whole Sagada thing will be much more tiresome compared to that of Ilocos. i kept quiet for a while and tried to absorb everything. finally i told my self that i was up for the challenge. this should train me for my Amazing Race dream! 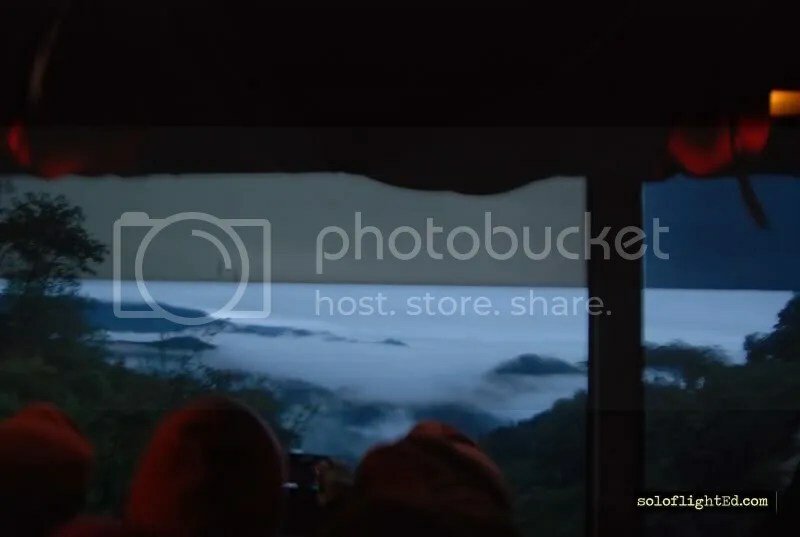 the Manila – Banaue Airconditioned de lux Bus with CR tickets cost me 500P. special thanks to Edcel for buying me the ticket. as we waited for the 1045PM trip, i saw this sleeper buses bound for other destinations. i tried to ask how much are the tickets for those kinds of buses and found out that it ranges from 700P-800P. i havent tried to ride one and i wouldnt mind paying such amount to experience how it is to be in a sleeper bus. at around 930PM we boarded our bus in hopes of having a few more extra hours of rest and sleep (my travel mates have been awake for the past 24 hrs due to their night shift jobs.) i happen to be seatmates with a French woman who lives in India and has been travelling around Asia for the past few years. she’s retired already and enjoys her days travelling and working as a social worker in India. we chatted for a few minutes until we both decided to sleep. i didnt notice that we left already until we were in NLEX. i fell asleep again until we exited – to my surprise – at Sta. Rita Exit. the NLEX exit where i always (actually all the time) exit whenever i go to and from Manila. my ‘antok’ got lost when i realize i am in familiar terrritory. i observed which roads we passed. alas! 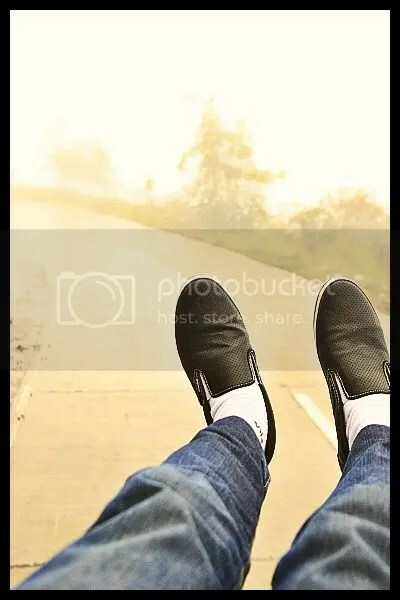 (toink)…this highway is the exact highway in Bulacan where i live. 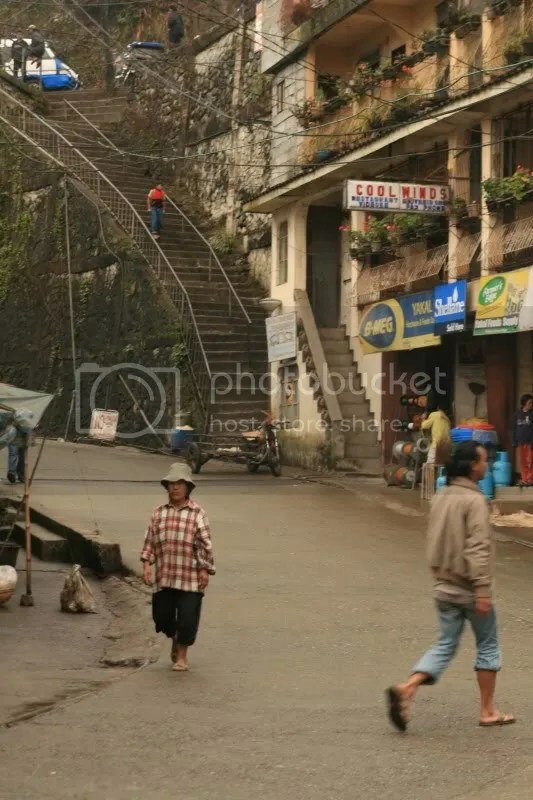 i can actually just wait at my door steps for the bus to arrive and just make ‘para’ the bus if i want to go to Sagada. 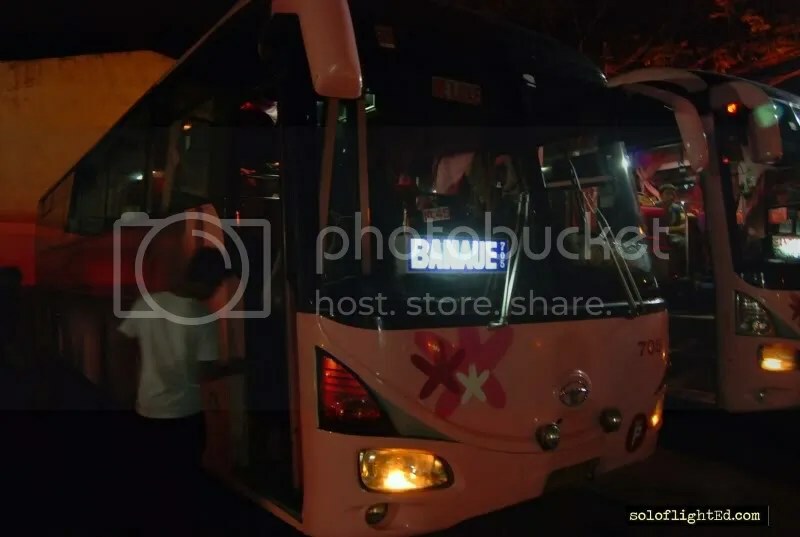 i was like ‘what the…’ i didnt know that during midnight, Banaue bound buses do pass by Bulacan. i only see Tuguegarao bound buses most of the time but not Banaue. i fell asleep again when we entered the province of Nueva Ecija. the next thing i knew we stopped over at San Jose Nueva Vizcaya. i wasnt sure if it was the first stop over or not. when i got down. i had my very first taste of almost freezing cold weather. i thought we were already in Banaue. but when i checked the place, i was surprised we were still in Nueva Vizcaya. 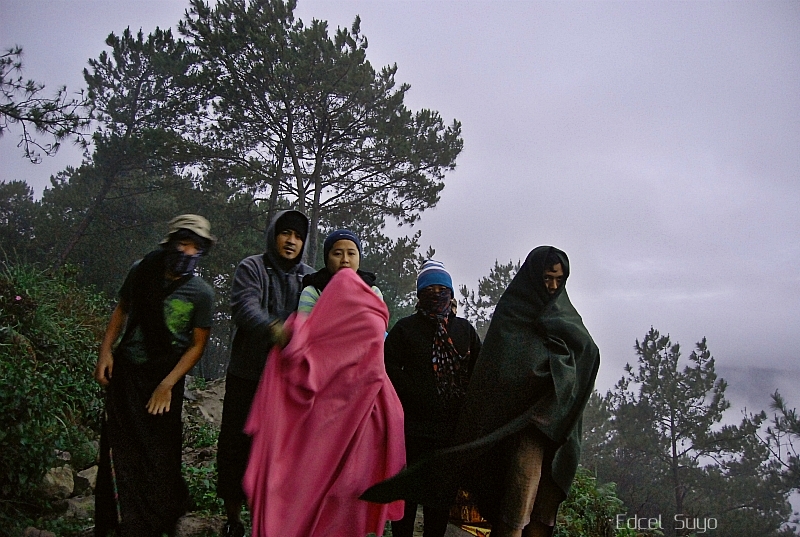 i dont know much about the province that’s why i was surprised they too can experience really cold weather. 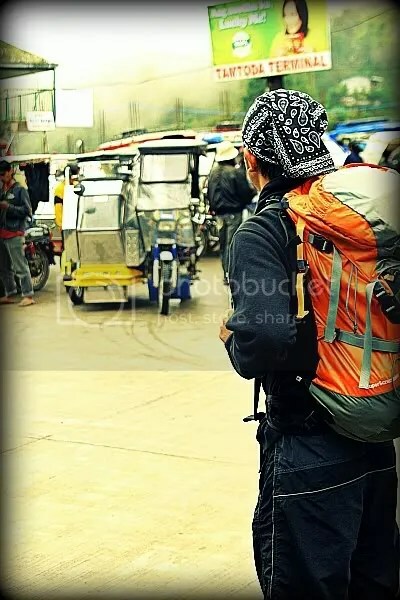 they even sell jackets and bonnets which are very typcial in Baguio. 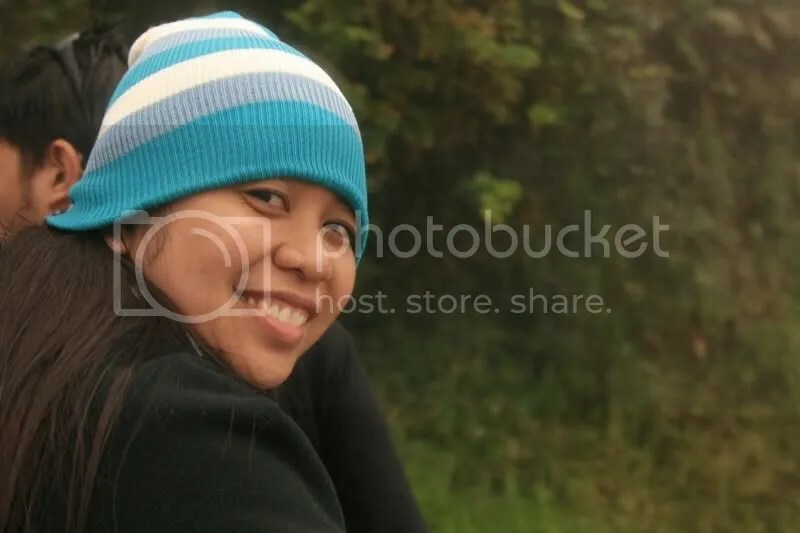 i bought one bonnet for 50P (in 2005 when i was in Baguio, head gears only cost me 20P). when i went to their CRs to take a pee, i had to shell out 20P. quite expensive. 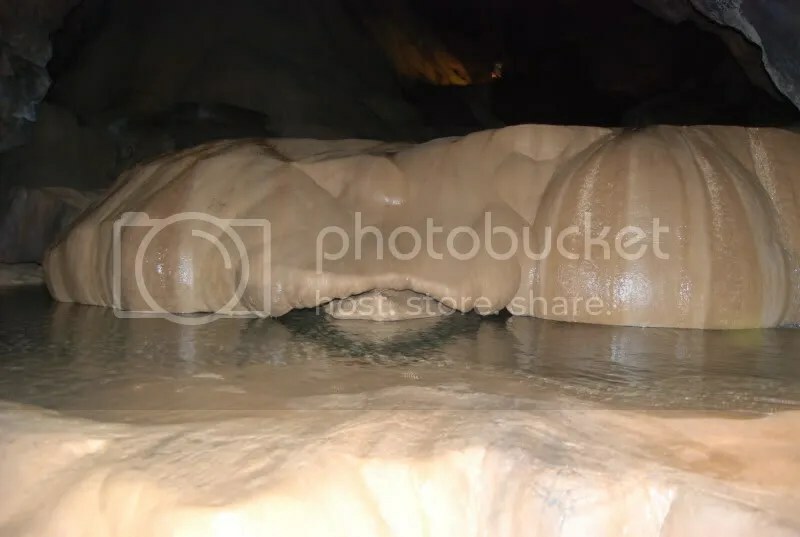 i realized, well i must be in the mountainous areas of Luzon already, it seems water is scarce thats why CR stuff is expensive. i fell asleep for hours until we came to a bus stop again (not sure how many bus stops we had already). when i tried to look around, about 1/3 of the passengers stepped out of the bus already. since it was still pitch dark i tried to look outside to see where exactly we were then. as i checked we were already in Lagawe Ifugao. i got excited because finally im in ‘Ifugao’ province. 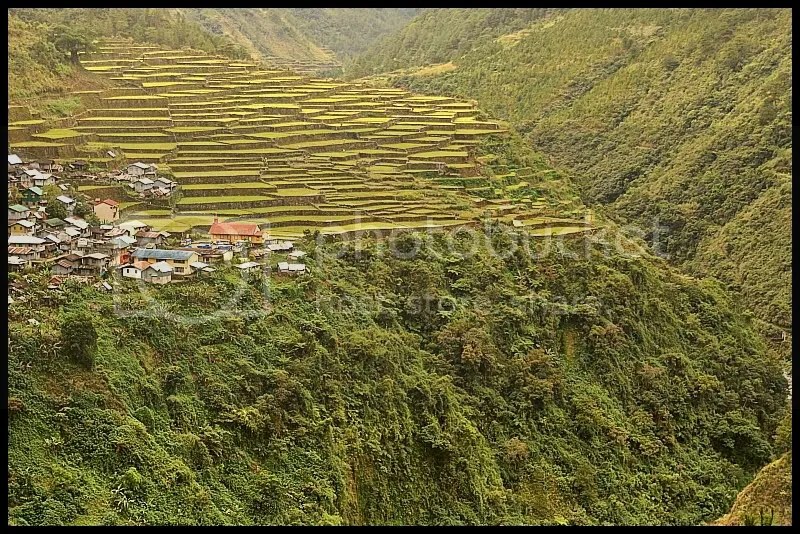 i knew we were moments (or few hours) away from Banaue. i had to settle down and sleep again to wait for our arrival. when i woke up we were still on the road, it was daytime already but fog and clouds covered almost everything outside our bus. 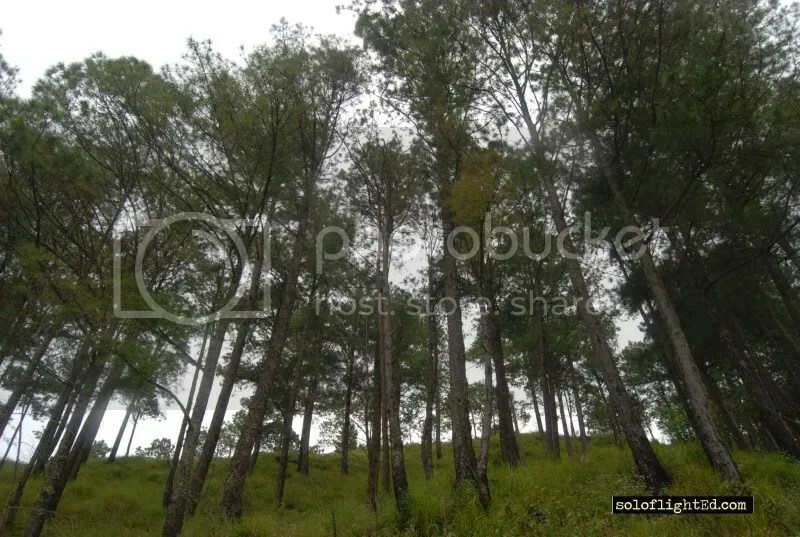 i cant see anything beyond a few meters. right at that moment i knew i was in a different world. i knew this is the start of that ‘Sagada’ experience. roughly an hour more and more zigzag roads with it. we finally came to a stop. 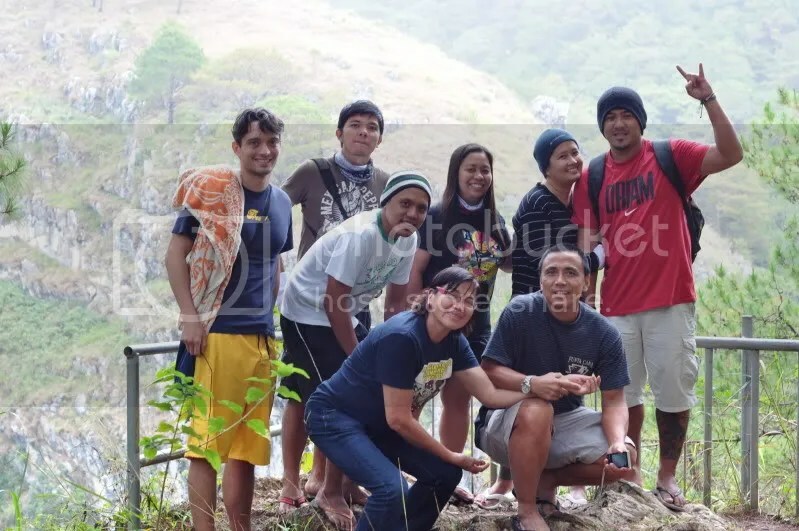 suddenly with out warning, we were already in Banaue. finally after 9 hours we have arrived! oh btw, i forgot the explanation for the title. 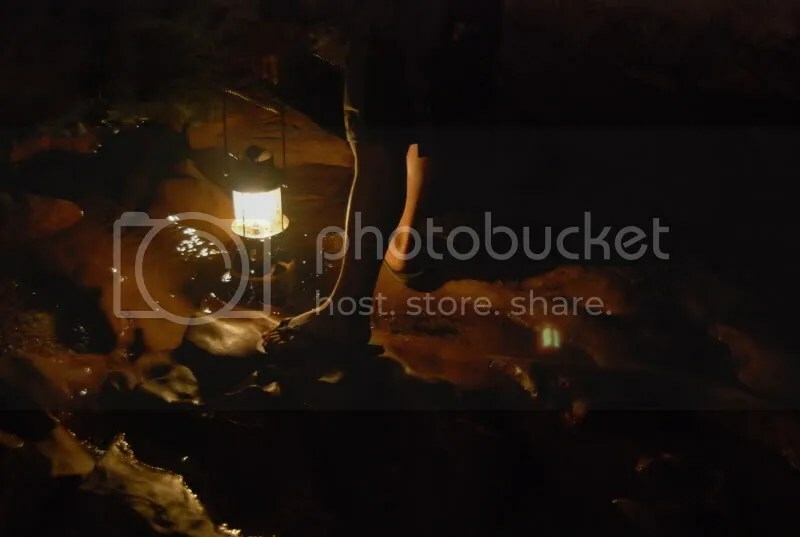 since this blog has reached 1500 words already, then let me just summarize it – i was not able to bring underwear for the trip. 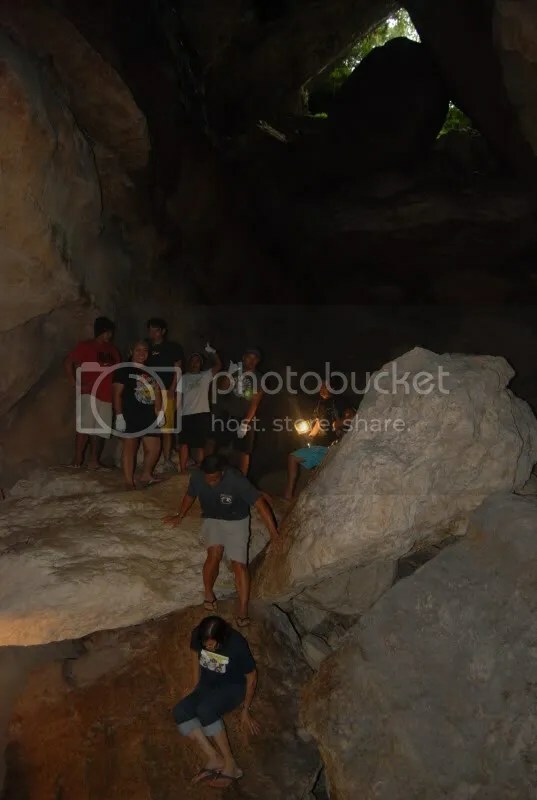 this probably was the most unprepared trip ever for me. 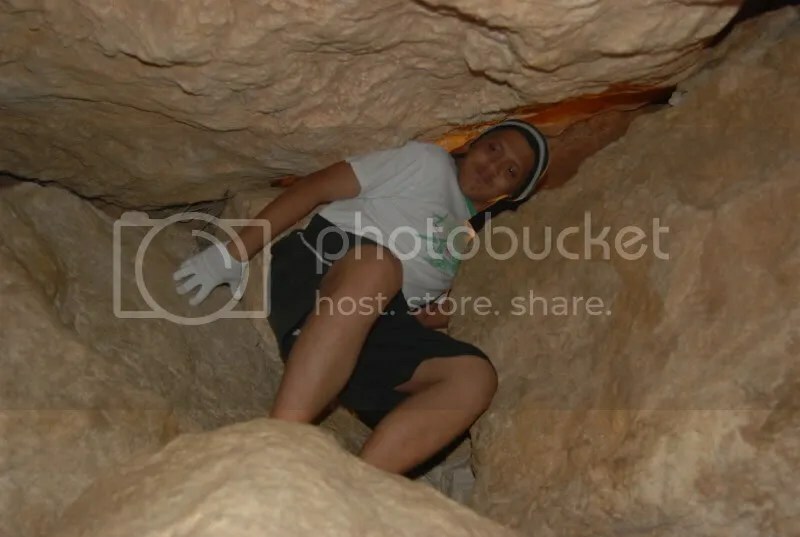 besides the underwear, i brought with me my laptop bag instead of my travel backpack because i had to rush packing from my business stuff and change to my Sagada stuff. i even was on my office shoes when i arrived in Banaue. i think the only right thing a brought with me was my jacket….tsk tsk. good thing the stores in Banaue have Clavin Klein boxer shorts for sale. i bought 4.